This unique stack of New England Fieldstone is located at Quinnatisset Country Club in North Central CT. 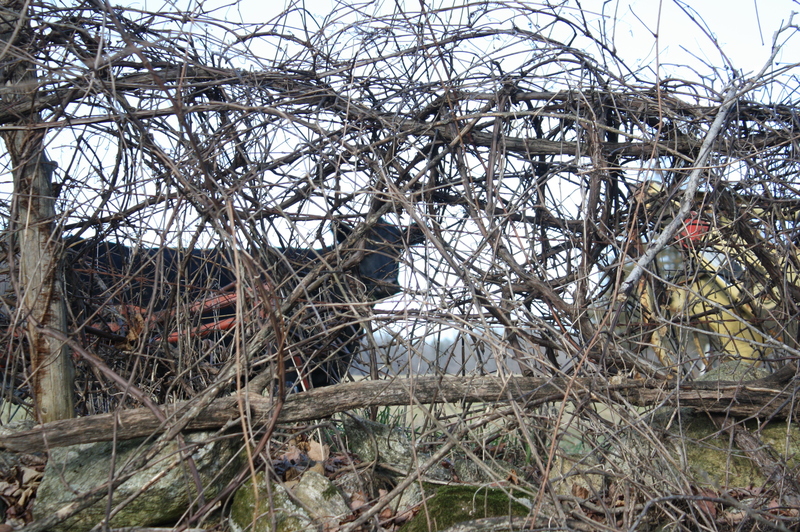 There are two others on the property. They were built during the construction of the course. We currently have 20 tons of Kibbe Brownstone in stock in our Charlton, MA location. This stone is being sold exclusively for restoration on projects that have Kibbe Brownstone on it. If you have a job you are working on please contact me for samples and pricing ( stoneofnewengland@gmail.com ) . 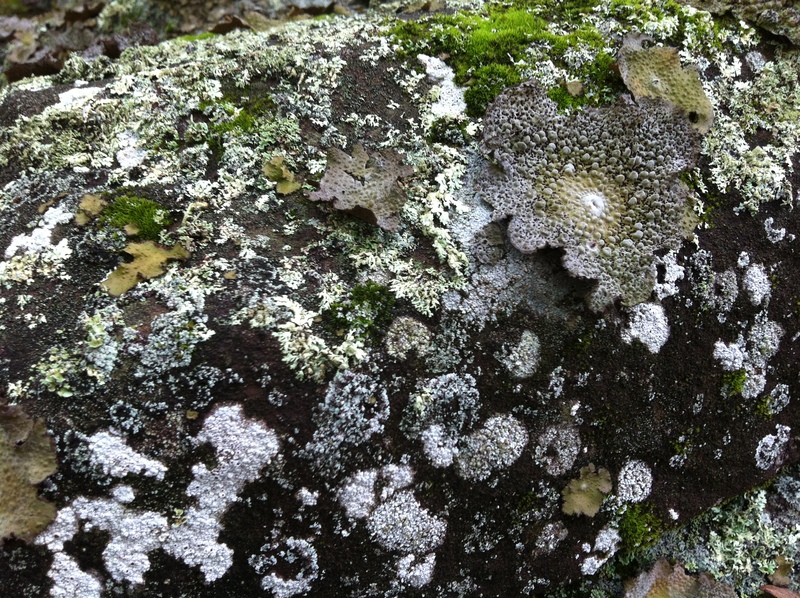 Join us on an exciting journey discovering boulders and stones across the New England Countryside. 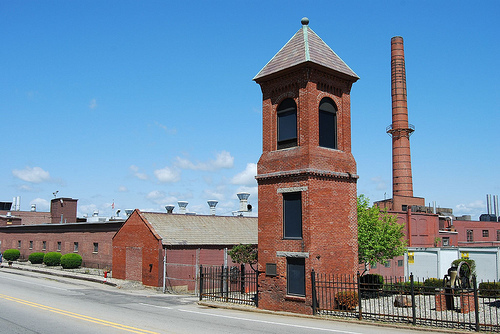 Stiles and Hart has been manufacturing brick for over a century in Massachusetts. Established in 1886 and now with over 100 years of experience, The Stiles and Hart Brick Company remains the only brick manufacturer in Massachusetts. Our bricks impart an authentic colonial beauty to every project. 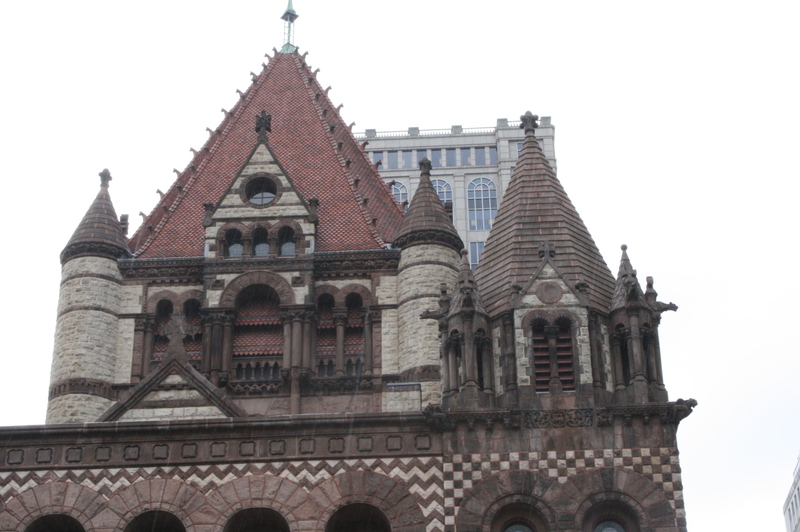 We choose to frame the Stiles and Hart Boston City Hall brick with reclaimed granite curbing. 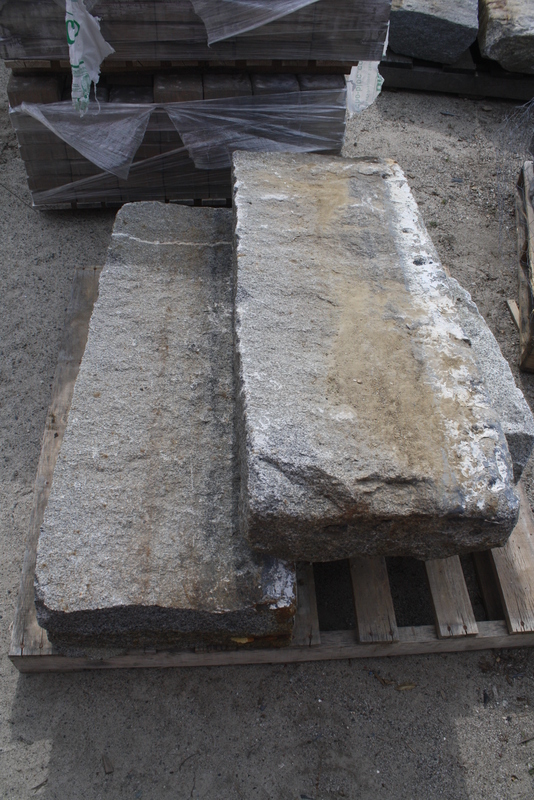 This stone was salvaged from Sturbridge during a highway reconstruction project. Its worn tops and soft edges made it a perfect fit. If you are looking for any type of clay brick paver to use for your patio or walkway please contact Camosse Masonry Supply @ 508.248.4044. , 23 Trolley Crossing Rd, Charlton, MA 01507. 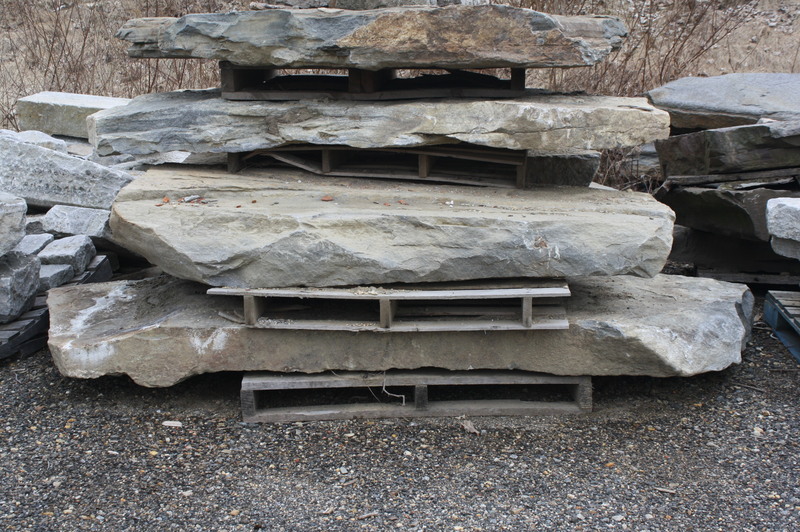 We have a great selection of palletized New England Fieldstone. Pictured below are Select Flats . These stones are 1″-4″ thick and generally have blocky flat faces. This stone is ideal for small garden walls . 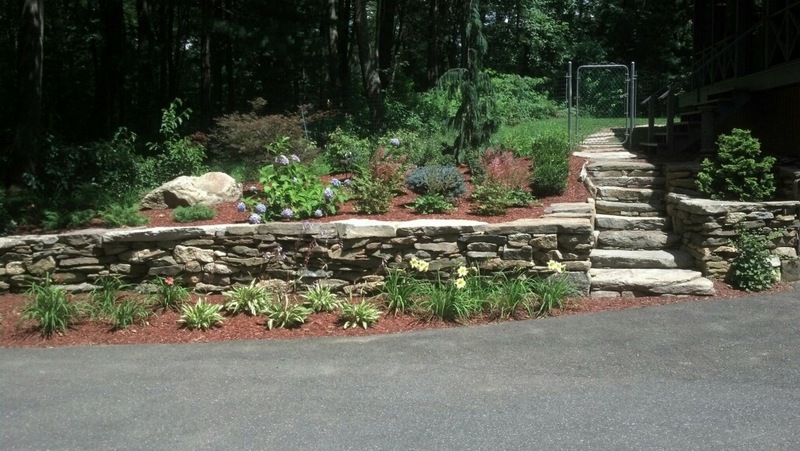 Our most popular examples of palletized New England Fieldstone would be what we call Wall Run. This is stone of all shapes and sizes. Most will be round with the occasional flat cap stone or stepper included in the pallet. This is ideal for recreating an authentic New England Fieldstone wall. We ship pallets across the country and can quote an size job big or small. 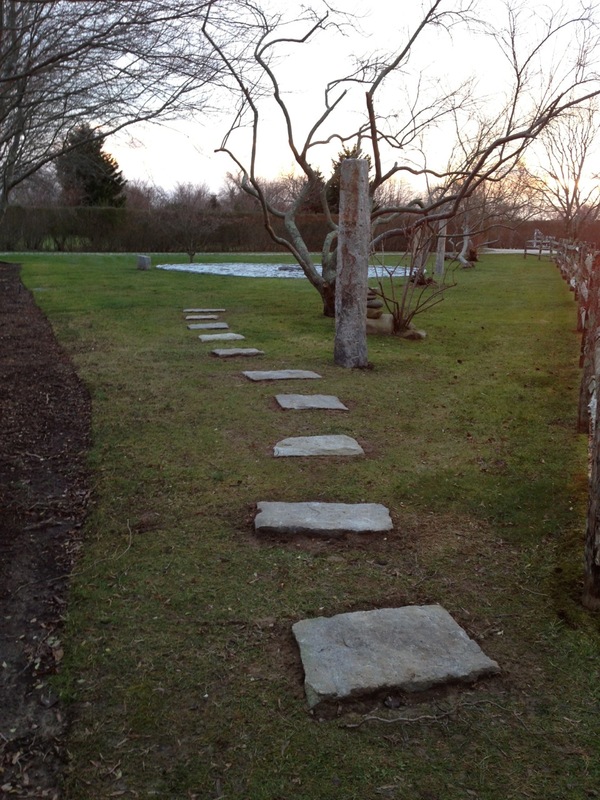 For patios and walkways New England Fieldstone Garden Path pallets are exceptional. Each pallet contains roughly 10-15 stones ranging in size from 2 sqft up to 6 sqft . These stones can be bought individually be the weight or by full pallet. We would be happy to help assist estimating your project including all the required materials for prep work. A good friend of ours discovered this treasure while excavating a property in Spencer , MA. 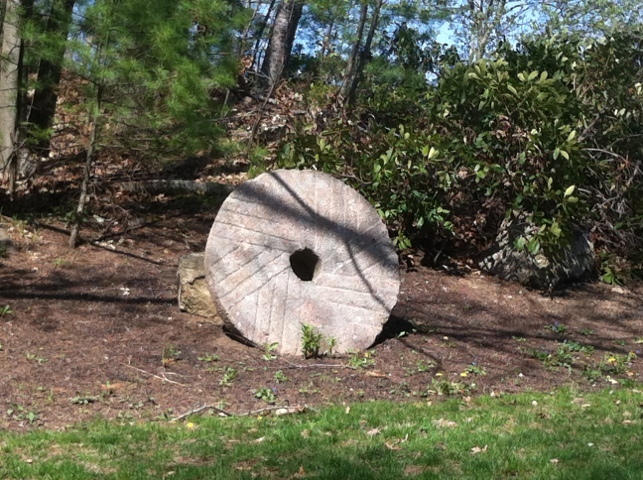 Its original use was as a Millstone likely used in a local mill. After retiring from its day job it rest on top of an artisan well only to be buried by decades of dirt and leaves. It’s not often you find a millstone or a wellstone. It’s very rare when you find them both in the same stone. Camosse Masonry Supply located in Charlton and Worcester , MA are distributors of Superior Clay products. We can order any size bake oven or rumored fireplace that your project calls for. In addition we have finished pots to order and traditional clay liners in stock. 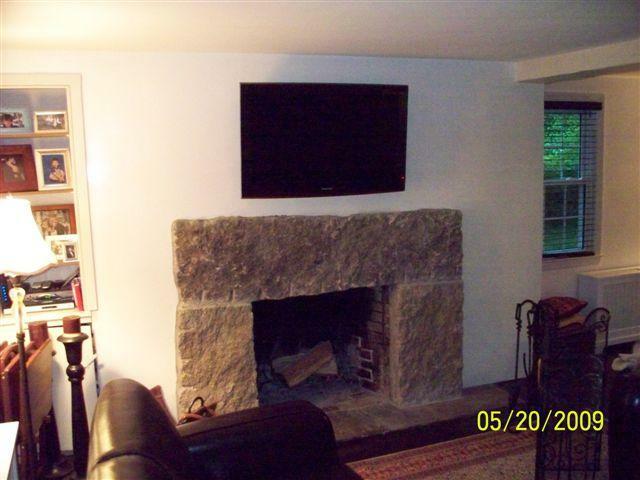 Here is an example of a traditional Rumford Fireplace design. The skilled staff at Superior Clay will help us design any chimney and fireplace. 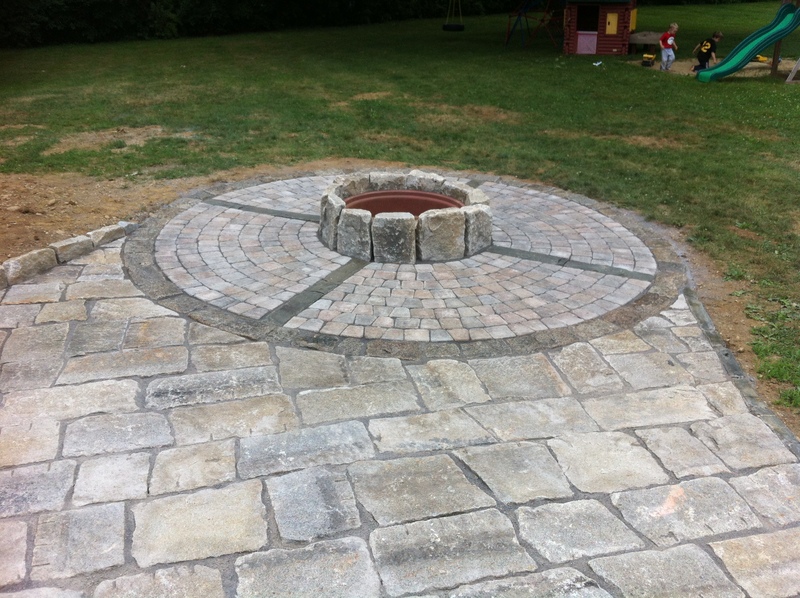 Contact Camosse Masonry Supply at 508.248.4044 – Charlton, or 508.755.6193 – Worcester. 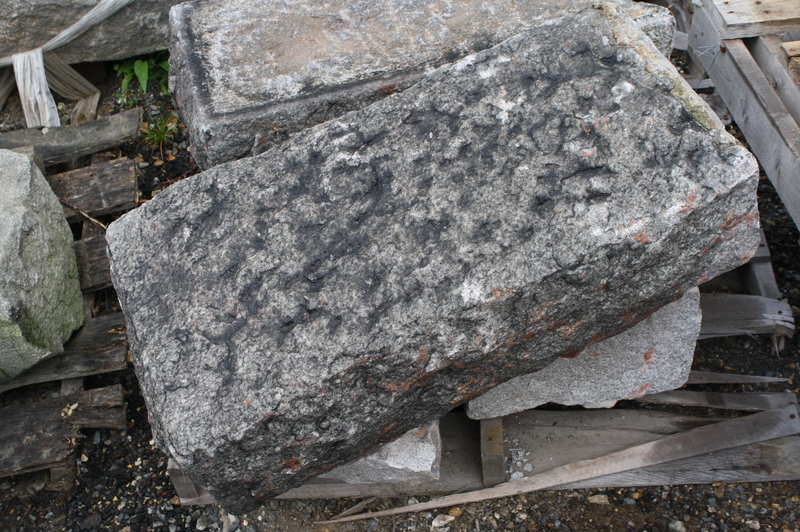 We have an abundance of reclaimed granite from the Odd Fellows Home in Worcester, MA. The building was taken down in 2014-2015. We were able to salvage most of the granite sills, window trim and foundation stone. We also have granite steps from the same project. The stones pictured below have one edge that is beveled. This stone would be ideal for a custom granite fireplace surround. It could be used inside or out. 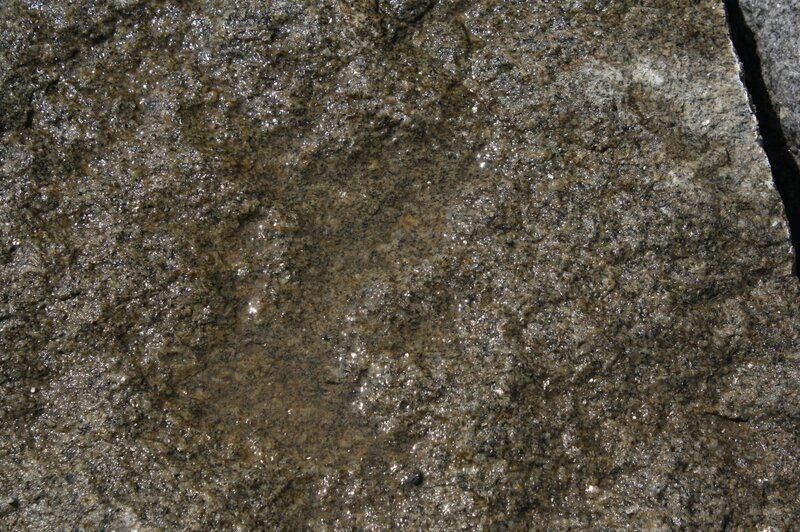 We have over one hundred feet of this granite in stock. 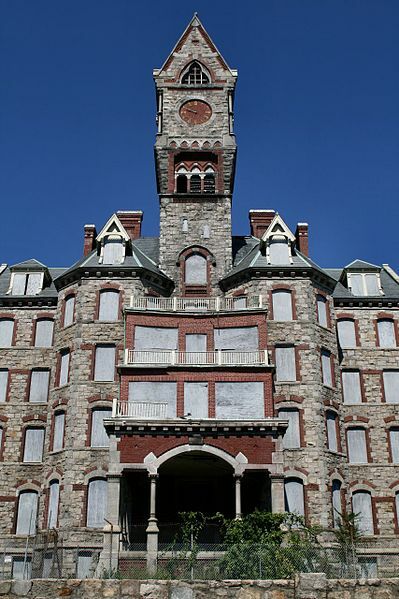 Every window in the Odd Fellows Home has a granite sill and surround. Most sills have a traditional finished face and beveled top. We have used these for all types of landscaping or masonry applications. 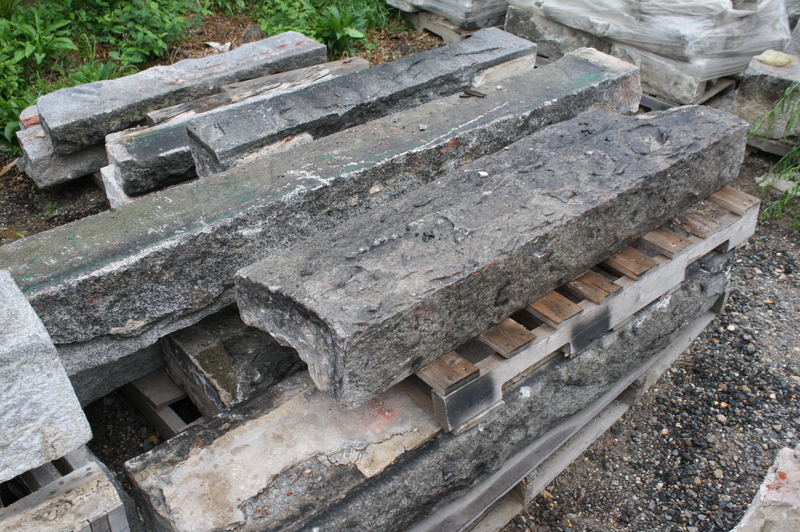 Pictured below are dozens of granite window sills salvaged from Worcester, MA. 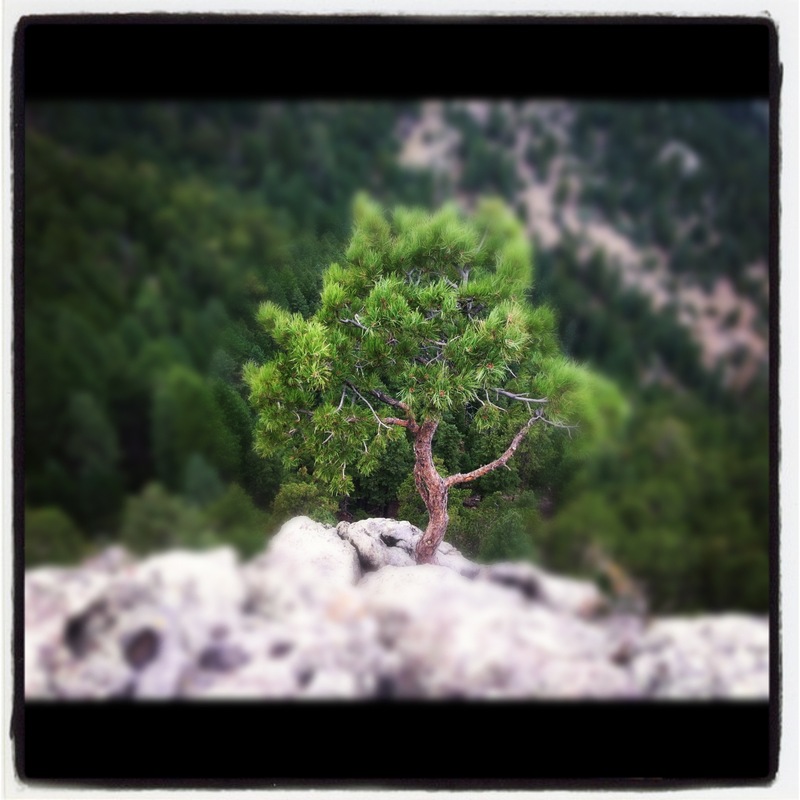 Rocks have been shaped by the hands of men for tens of thousands of years. I’ve discovered dozens of larger than life stone sculptures created by an ancient civilization. Sometimes words are not needed. We are always in the market for reclaimed granite and stone! If you have granite or stone on your property please contact us today and we would be happy to give you an initial estimate on the value of your stone. 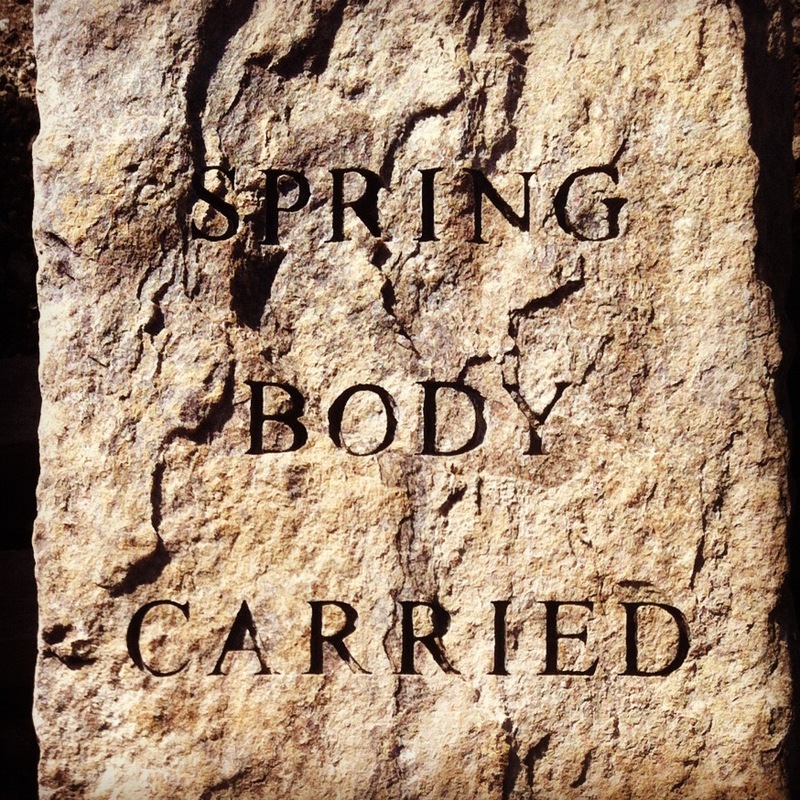 We handle stone with care. If you have a boulder or unique stone that requires special attention please contact us today for a quote. Please fill out the for below if you have granite or stone you would like to sell. We have more granite than we have ever had before! Come out to Charlton and pick your unique stones for any type of landscaping or masonry application. These posts were made to line a driveway. Rings were installed to allow chain to be hung between posts. Twenty posts were made in all for this project. 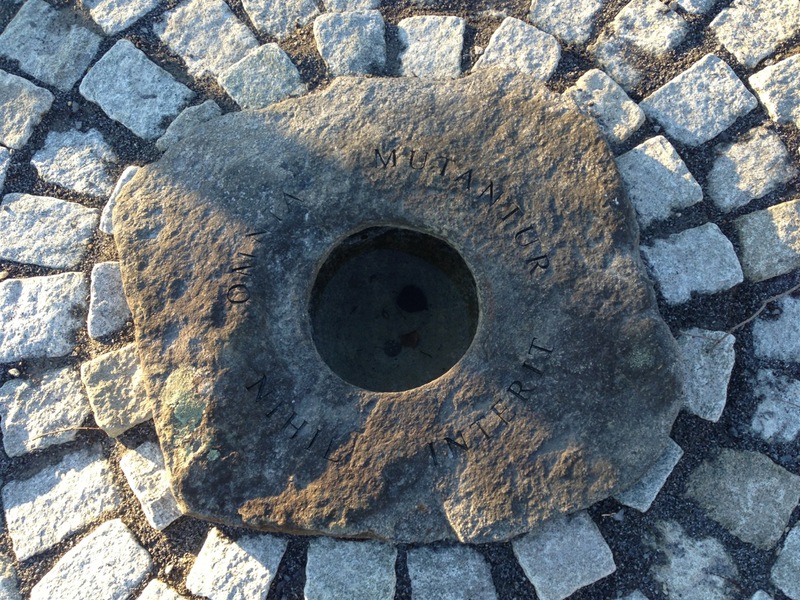 The granite was sourced from South St in Ware, Ma. We had over two thousand feet of reclaimed granite salvaged from the streets of Ware. 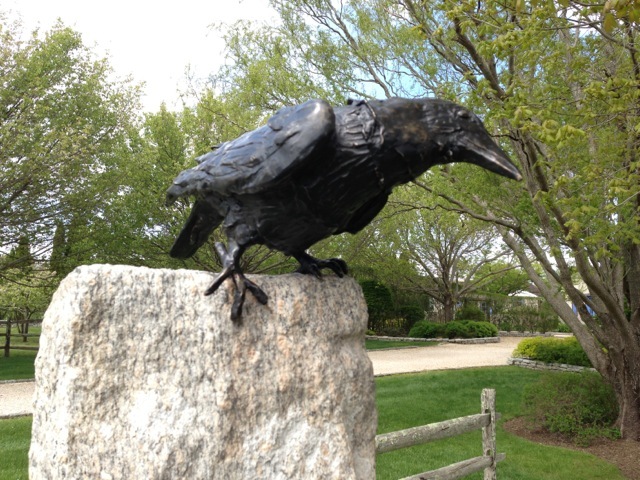 Many of the largest pieces still sit in our Charlton, MA stoneyard. We have just reclaimed over one thousand square feet of pristine Reclaimed Bluestone. This random assortment of sizes ranges from 12″x12″ up to larger 24″x36″ stones. The thickness averages 1.5″ and the top weathered surface has a natural cleft finish. This would be ideal for any patio or walkway. Sometimes your lucky enough to be around at the right time and the right place. This is one of those times. 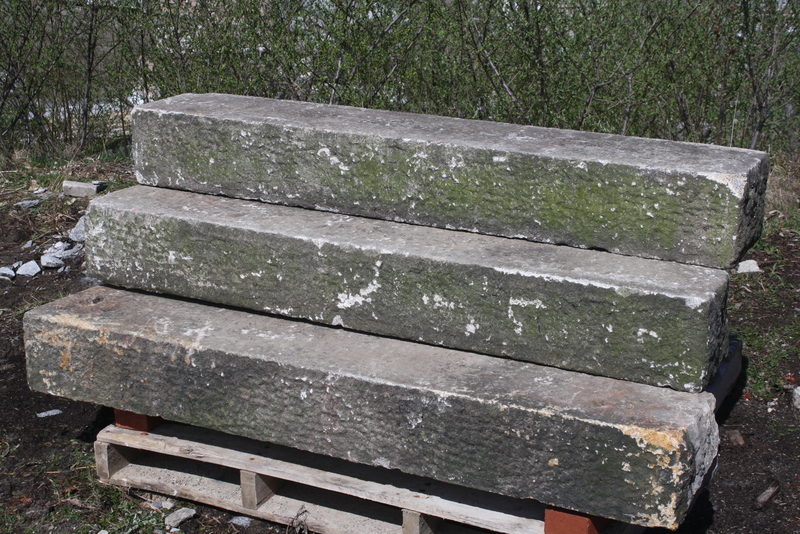 We have salvaged 65 granite bollards that have been sitting in the woods for more than forty years. The stones , likely over one hundred years old, were removed and had been sitting around waiting to be discovered. 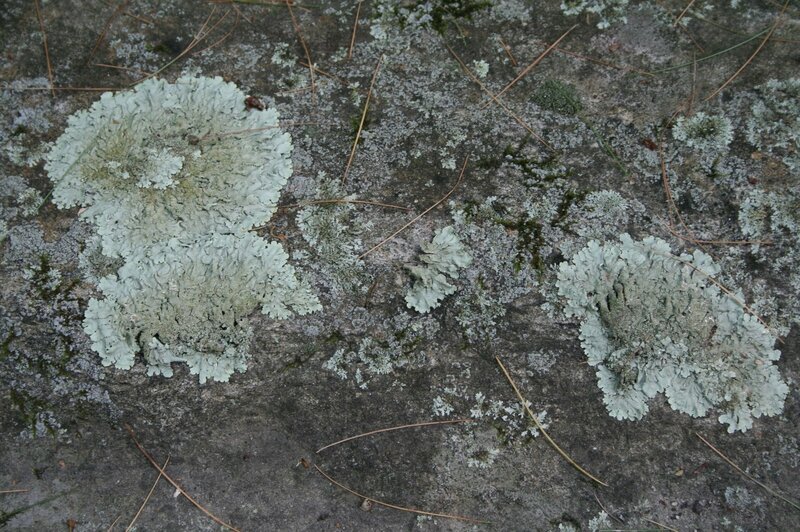 Each granite bollard is covered in heavy lichen and patina. The weathering wraps the corners and extends from top to bottom. It’s rare to see this type of weathering on so many pieces. Apex tops dress most of the posts. The piece pictured below is one of thirteen identical in finish but varying in exposed length. We are fortunate to have been able to purchase 65 unique granite bollards and posts. They average 5′ tall and there are multiple finishes and pointed top details. 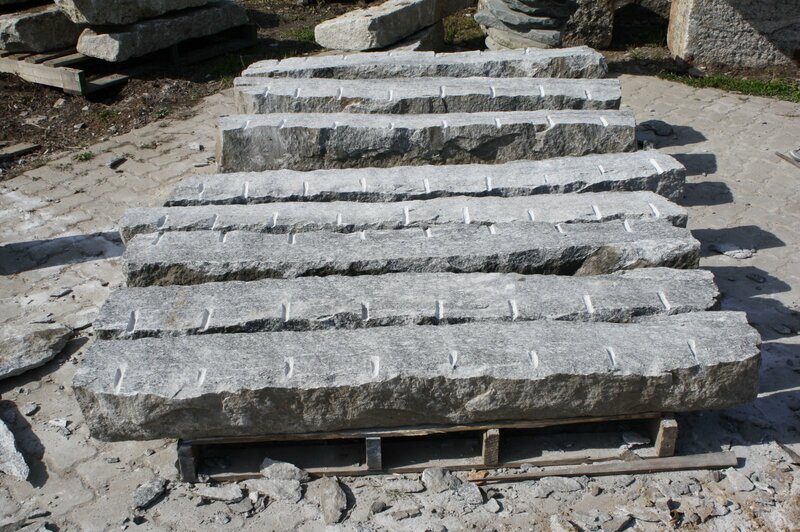 Contact us today if you are interested in any type of reclaimed granite stone posts or natural stone accent. We have thousands of pieces in stock ready to be shipped. 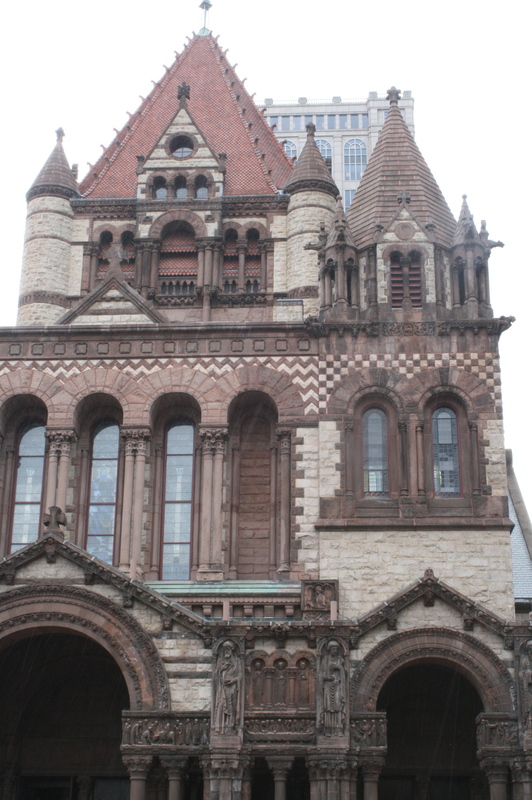 Here is a beautiful example of Richardsonian Romanesque Architecture. 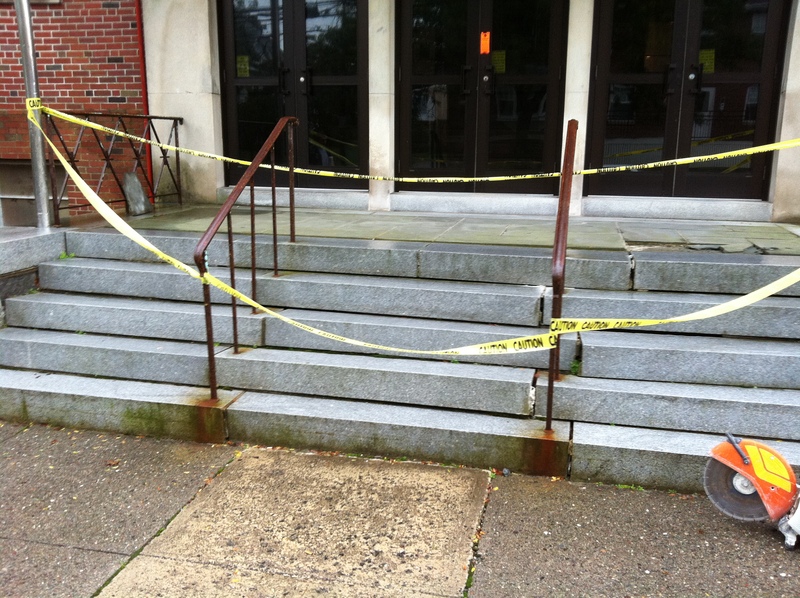 This is the public library in Warren , MA. The building was opened in 1889. The above quote mentions Monson Pink. This would be interesting to know if this is true and also a Norcross Bros. stone. I was alway under the impression this was Milford Pink Granite. 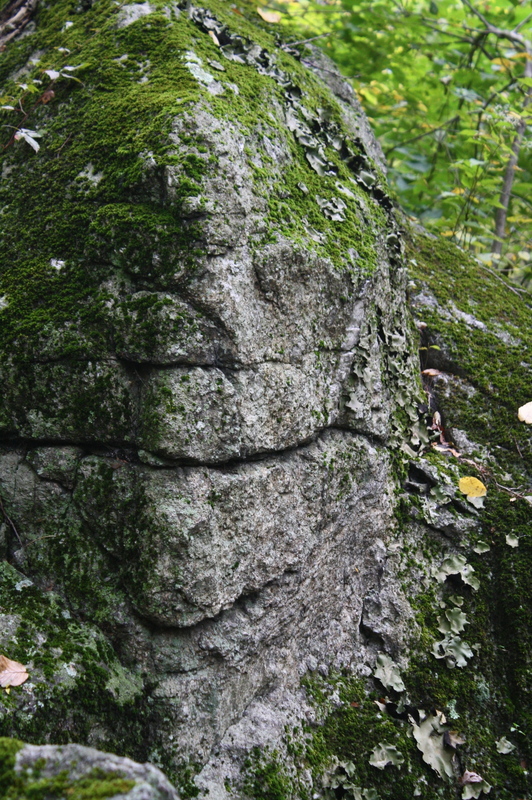 Madison Boulder is located in the White Mountains of New Hampshire. It measures 83′ long x 23′ high and is 37′ wide. The boulder weighs over 5000 tons. 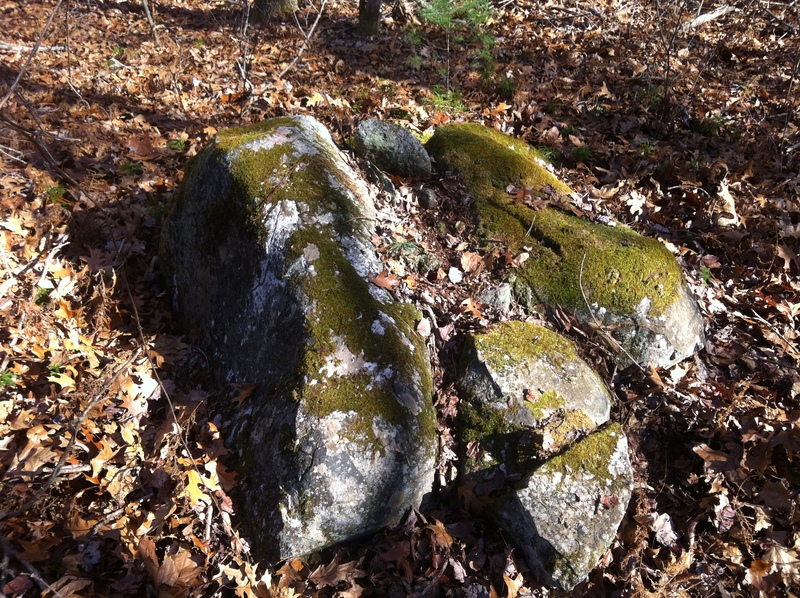 For more info about this boulder and many others like it join us at www.stonesofthepast.com where we hypothesize the idea these stones were moved and shaped by hand. We were proud to have been asked to create Hand Split Granite Posts for the Historic Town of Senoia , GA. Our skilled stonesmith , Patrick Berthiaume , split these stones from larger blocks using traditional methods . 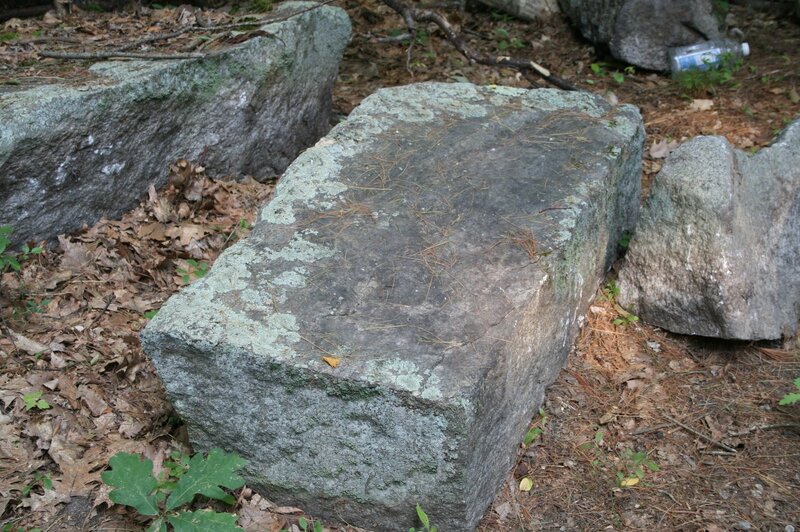 These blocks were originally the foundation for the Odd Fellow’s home in Worcester, MA. One day we hope to visit these stones in their new home. 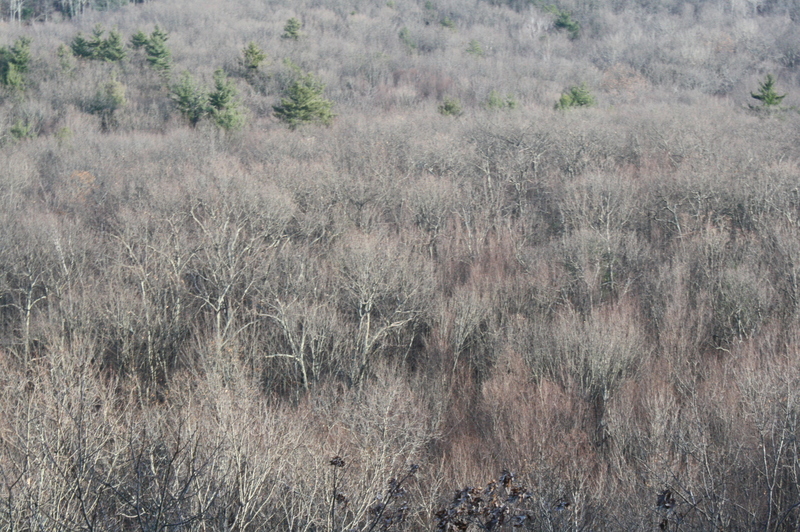 Are you interested in ancient cultures, boulders, Native peoples, stonework and the mysteries of the New England Landscape? If you are please join us at www.stonesofthepast.com It is a work in progress. 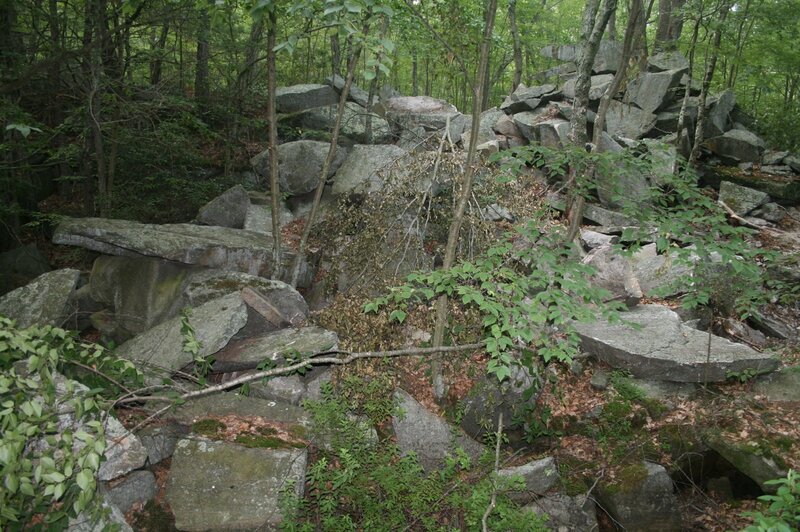 I detail many of the sacred stones discovered on sites in Central Massachusetts and beyond. The Odd Fellow’s home in Worcester was taken down in 2015. Stone of New England and Camosse Masonry Supply salvaged all of the granite from the building. 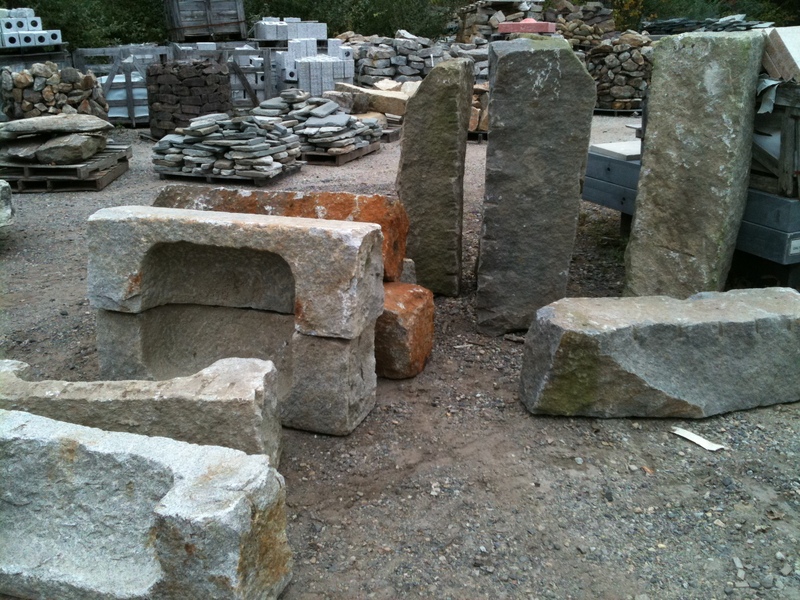 Our Charlton yard as a large stock of remaining steps and trim stone. We were very fortunate to have been able to carefully salvage the East Brookfield Train Station. The station had sadly burnt down . 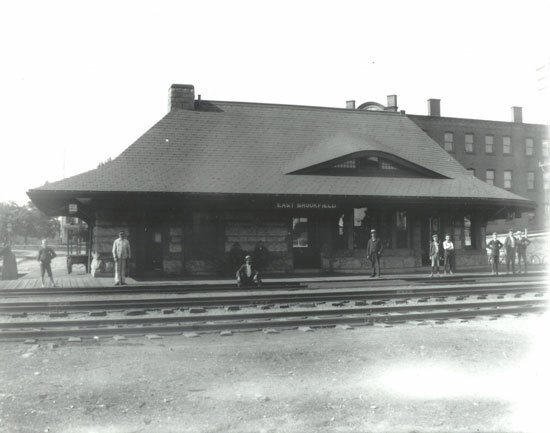 The station was designed by Henry H. Richardson and stone was quarried from Norcross Bros. properties. Both Kibbe Brownstone and Milford Pink Granite were used on this station. 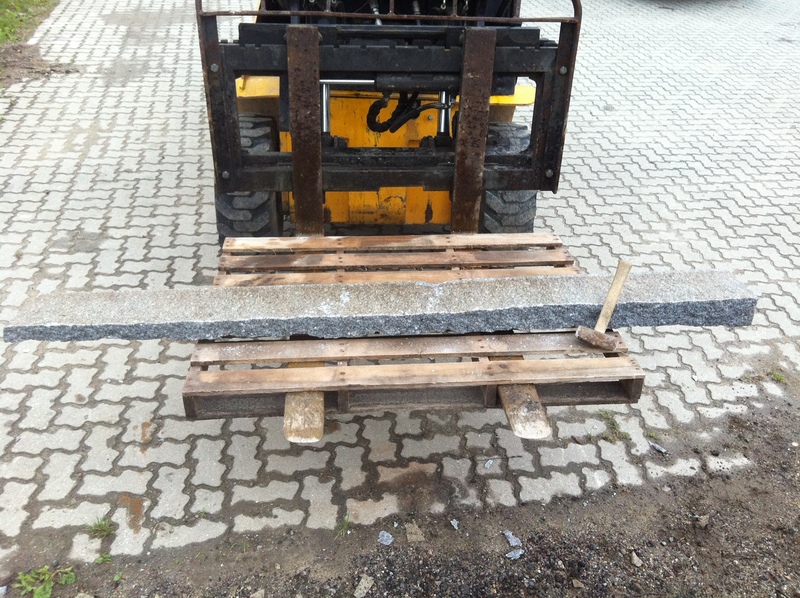 In the life of a granite curb it’s handled dozens of times while being cut, shipped, installed, removed , salvaged, sorted and then packaged for the client. It was by pure chance that these two stones were reunited, Just in the three months these stones were in our yard we moved them four times before palletizing them as shown above. 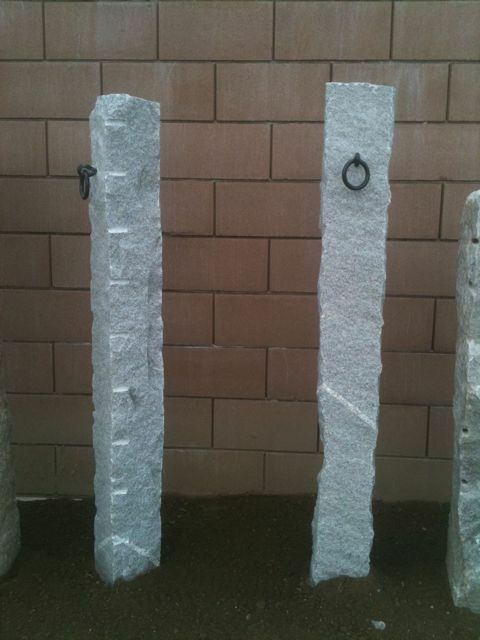 We create one of a kind hand split granite posts using reclaimed and salvaged stones from across New England. Let our unique craftsmanship shine through on your next landscape or masonry project. 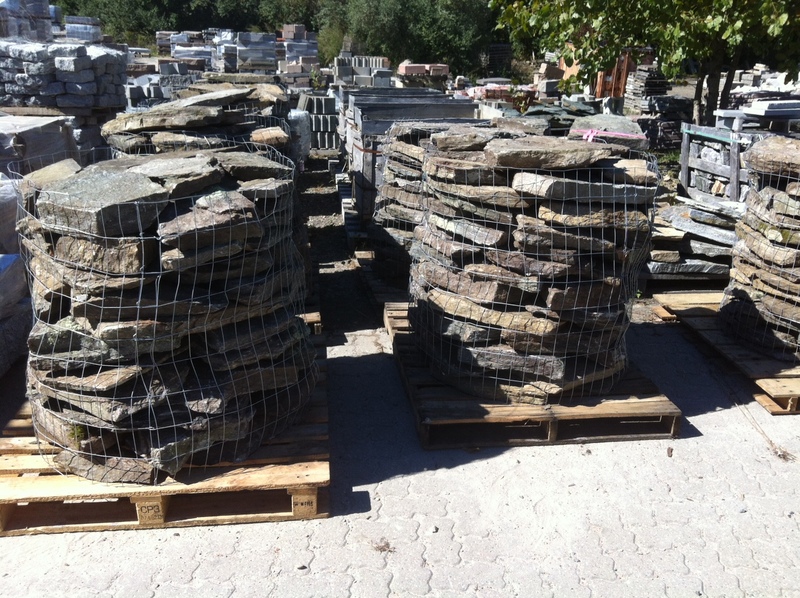 We have a wide selection of large weathered fieldstone slabs. 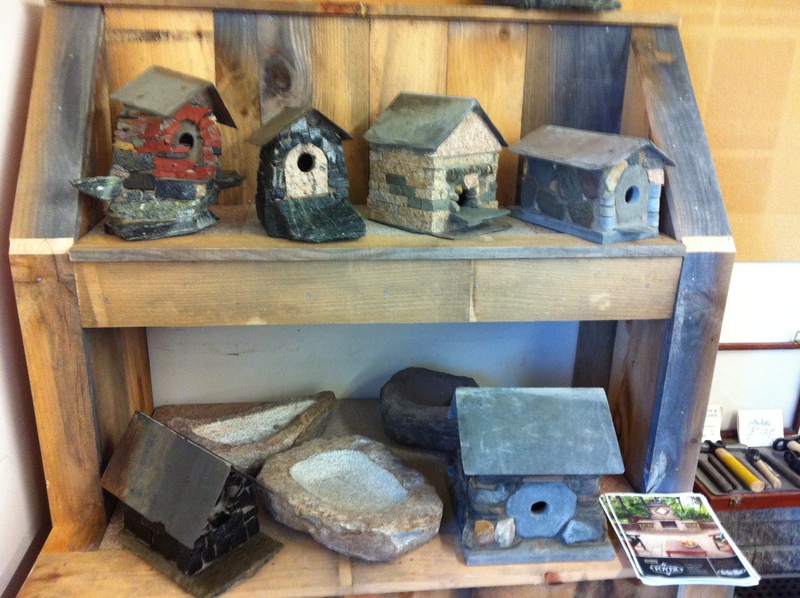 These stones have been carefully salvaged from barn foundations and local properties. Most have evidence of being split by hand hundreds of years ago. The two stones shown below were split in half by the farmer building the foundation. Only the narrow face of the stone was shown in the wall. 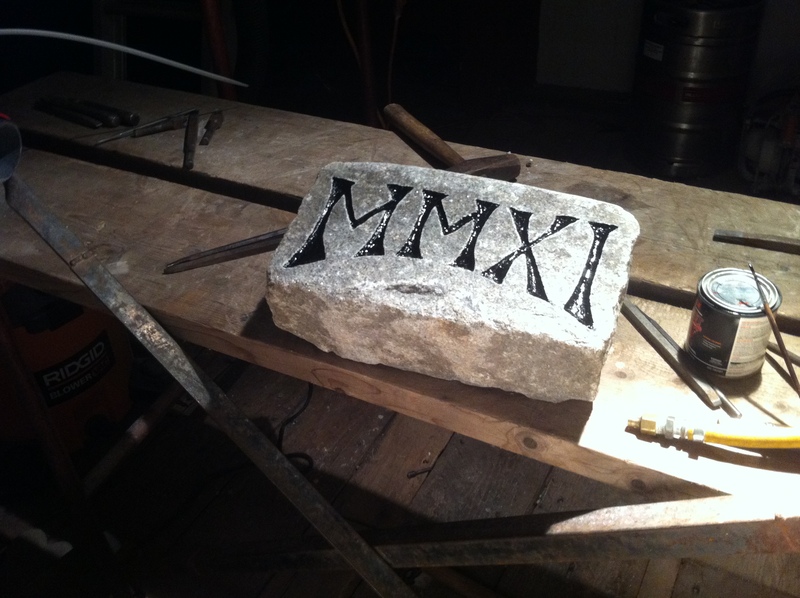 Each stone is roughly 36″ x 72″ and 12″ thick. 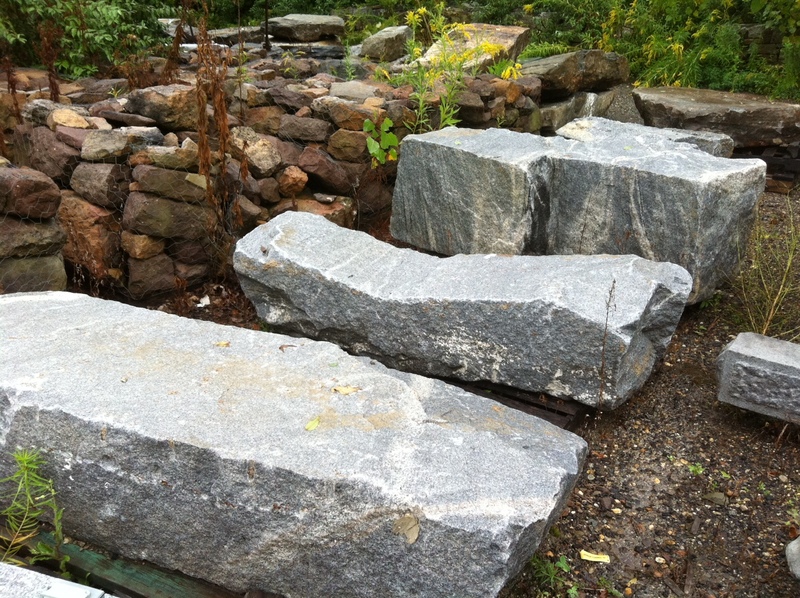 We have a great inventory of reclaimed granite from the Odd Fellow’s Home in Worcester, MA. These stones were once included in the massive stone foundation and trim stones along the brick veneer. Dimensions will range from 12″-30″ wide x 24″-84″ long. We do have limited amounts of longer and wider stock. 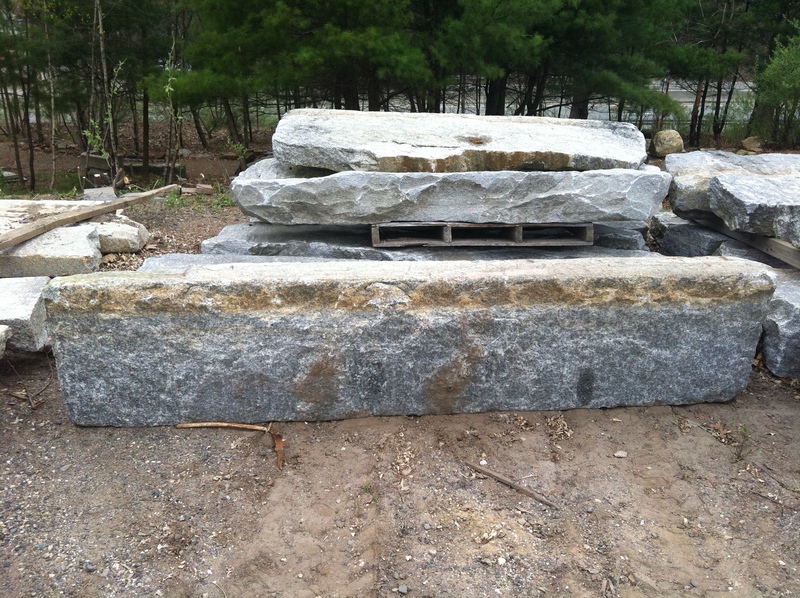 Please contact us today if you are looking for authentic reclaimed New England granite and stone . We love custom fabrication, hand splitting and rock-facing. There’s no job to big or small for us to tackle. Contact us today if your interested in reclaimed granite or stone products. Our inventory has continued to grow over the season and we’ve never had more granite in stock. 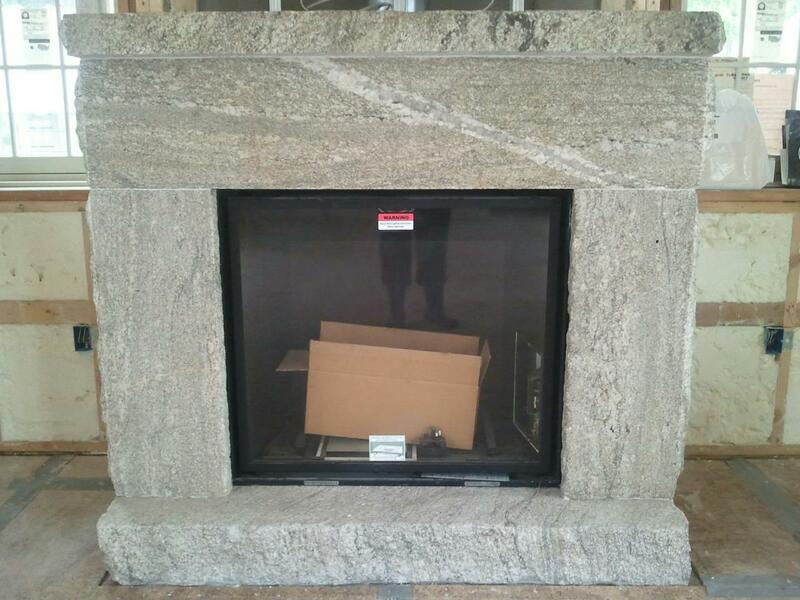 Let us create you a one of a kind reclaimed granite fireplace surround. We can design a granite feature for any landscape or masonry application. Contact us today if you are interested in natural stone veneer products or accents such as this fireplace surround. We have thousands of feet of reclaimed granite curbing. 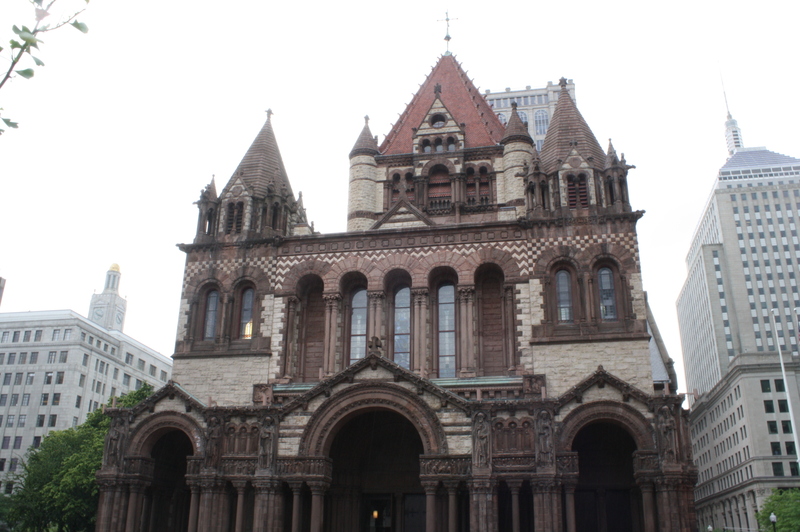 This stone has been salvaged from across New England. We offer a variety of sizes and lengths and build orders to suit your specific needs. Contact us today for any size order big or small. 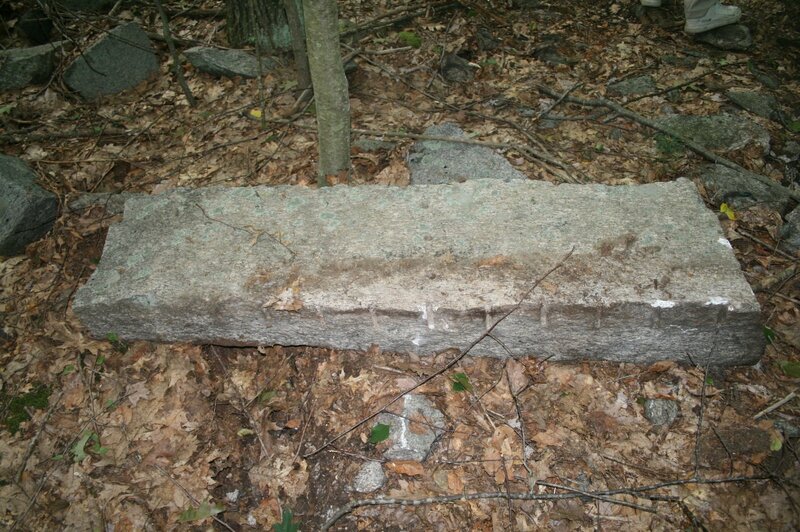 Here is a collection of Granite Window Sills reclaimed from the Odd Fellow Home in Worcester, Ma. 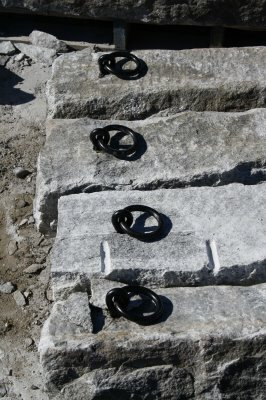 We have a large inventory of shorter granite curbing ideal for steppers . 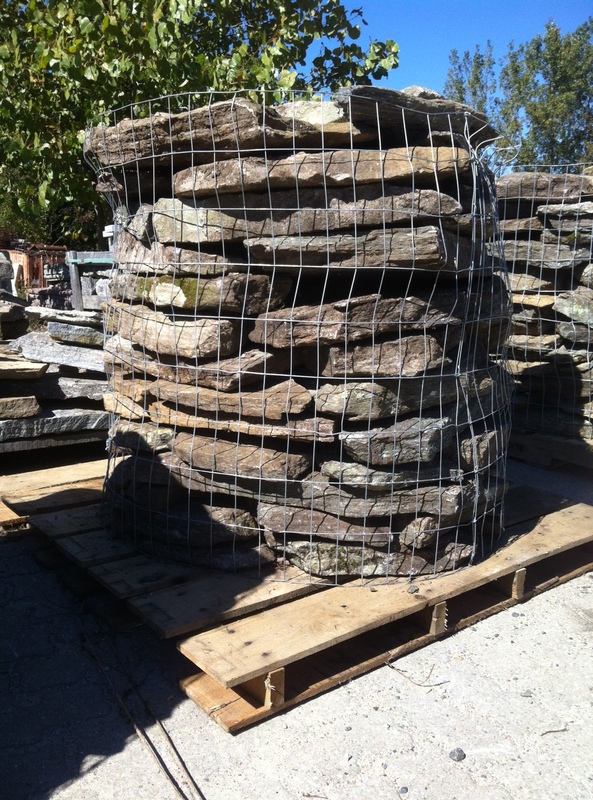 This material was salvaged from local streets and would look great along side New England Fieldstone. We have been bringing in trim stone from the Odd Fellow Home in Worcester, MA. This granite has a unique quarter round edge that would be ideal for a fireplace surround or banding design in a masonry veneer. We have over two hundred linear feet of this one of a kind granite. 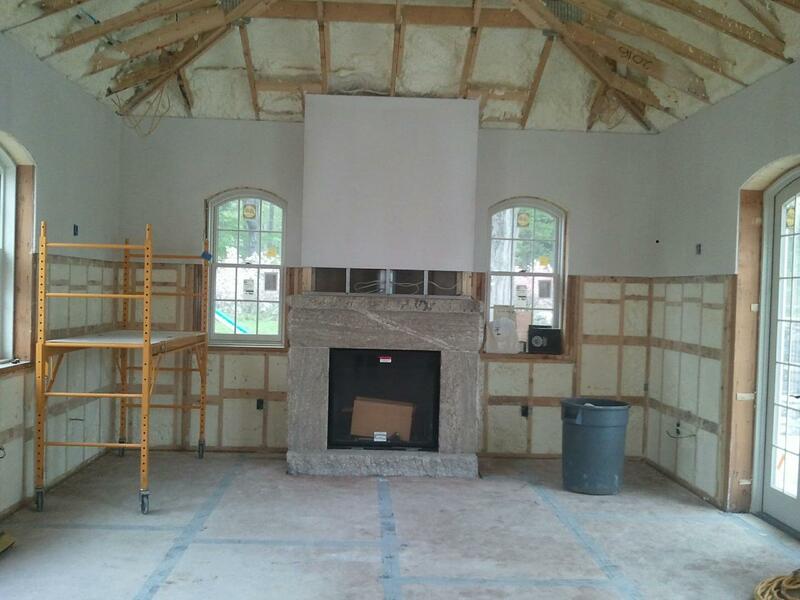 Stone of New England can help create one of a kind stone fireplace surrounds. 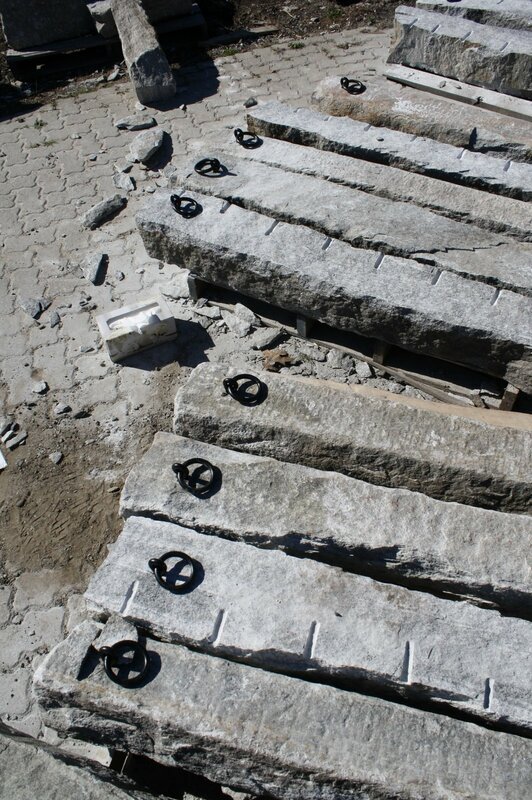 We use our extensive pieces of salvaged granite to match any projects needs. We have stones in all shapes and sizes and can finish to and dimension. 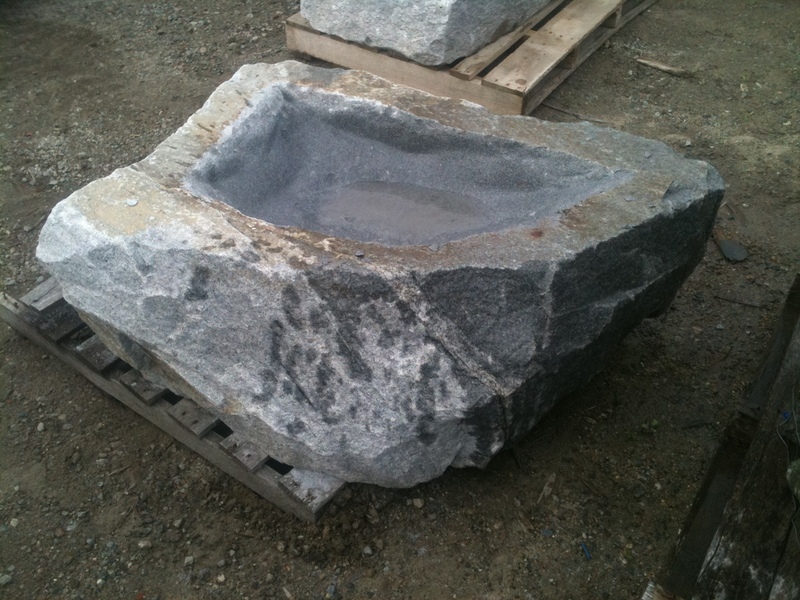 We have created dozens of custom granite benches for customers across New England. Let our creative eye and extensive stock work for YOU. We can design any shape or size from big to small. Contact Henry @ 508.248.4044 for more info and pricing. Here is a great example of Reclaimed Granite being used as a step. They guys over at Yard Max Inc. did a great job installing these two granite steps. Make sure to contact them if your interested in any type of landscaping! This one of a kind boulder was sorted out of the woods in Connecticut. It has beautiful weathering. 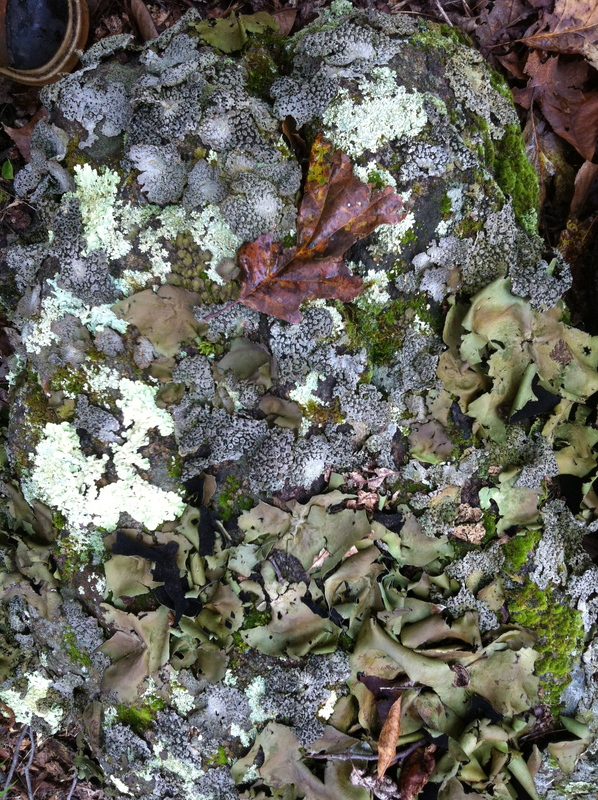 The lichen has taken over most of the rock. This would be ideal in a darker shady spot of your landscape. 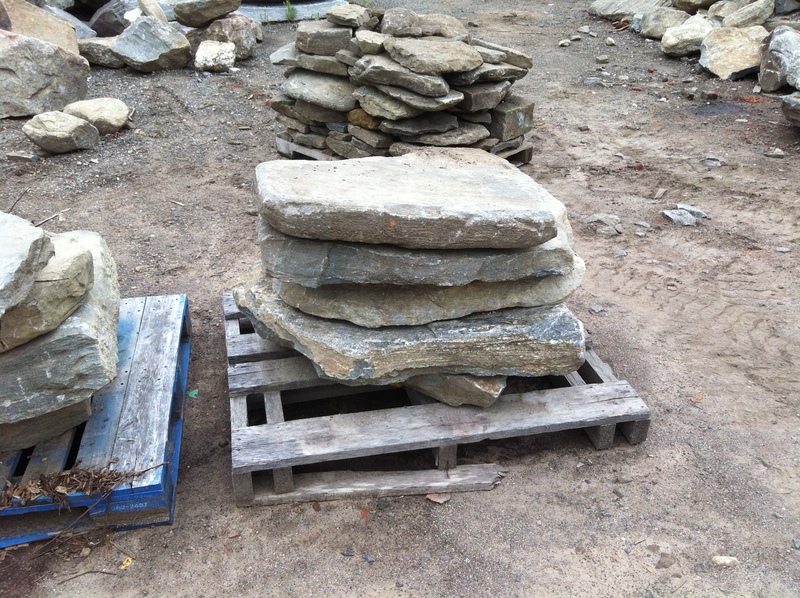 Contact us today if you are interested in Weathered New England Fieldstone Boulders. 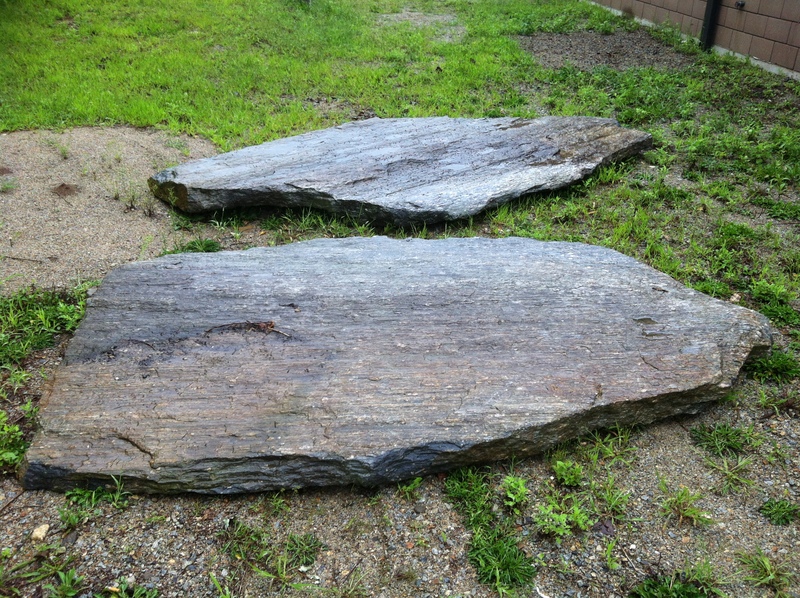 We have these two beautiful stone slabs in the yard. Each cover atleast 32 square feet. They have a great natural roll and pitch to them and would be ideal to use with water features. These two posts were donated to the Town of Warren and installed at the South Warren Cemetery. 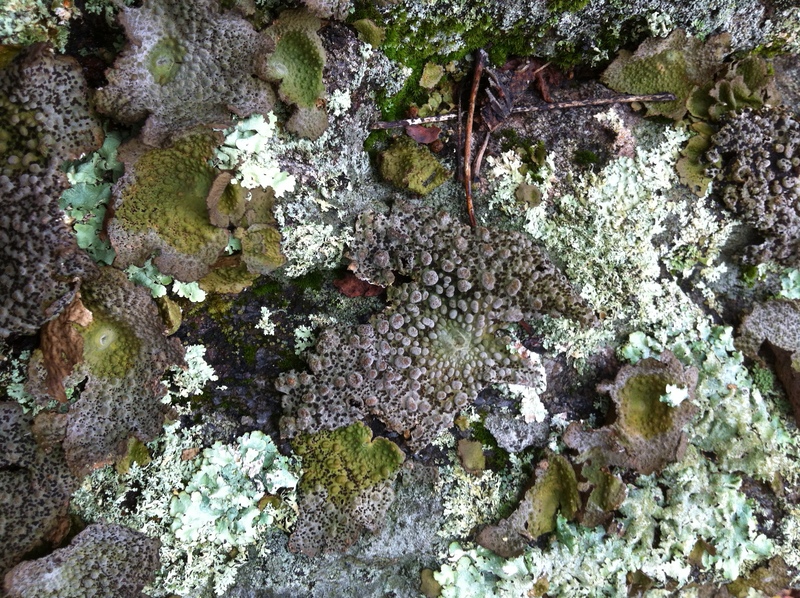 They are roughly 8″ square and 80″ long. 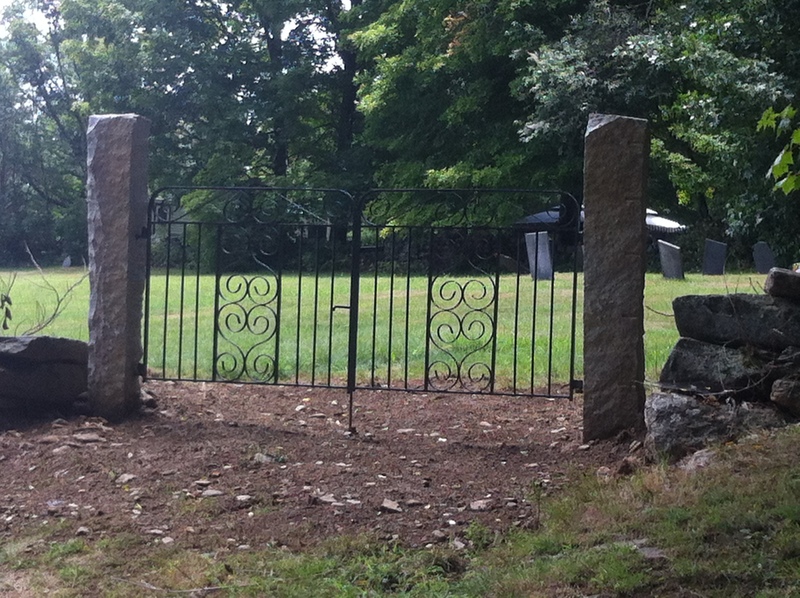 The gate was produced by a local black smith. 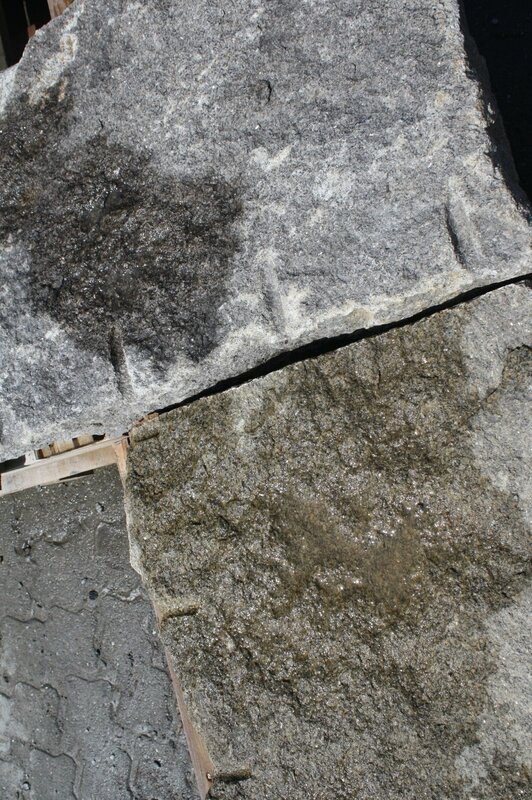 We have a great inventory of New England Fieldstone Slabs in stock. 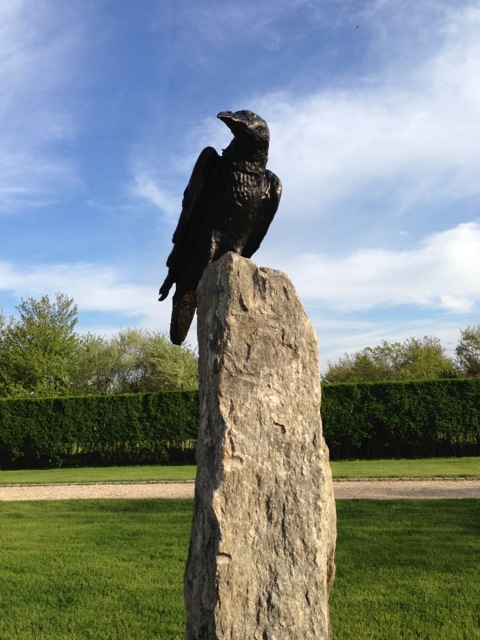 Please contact us today if you are interested in New England Field stone or any other fieldstone product. We also sell granite slabs as well as bluestone slabs. These posts were carefully salvaged from a home in Harmonyville, RI. They are some of the oldest pieces we have. 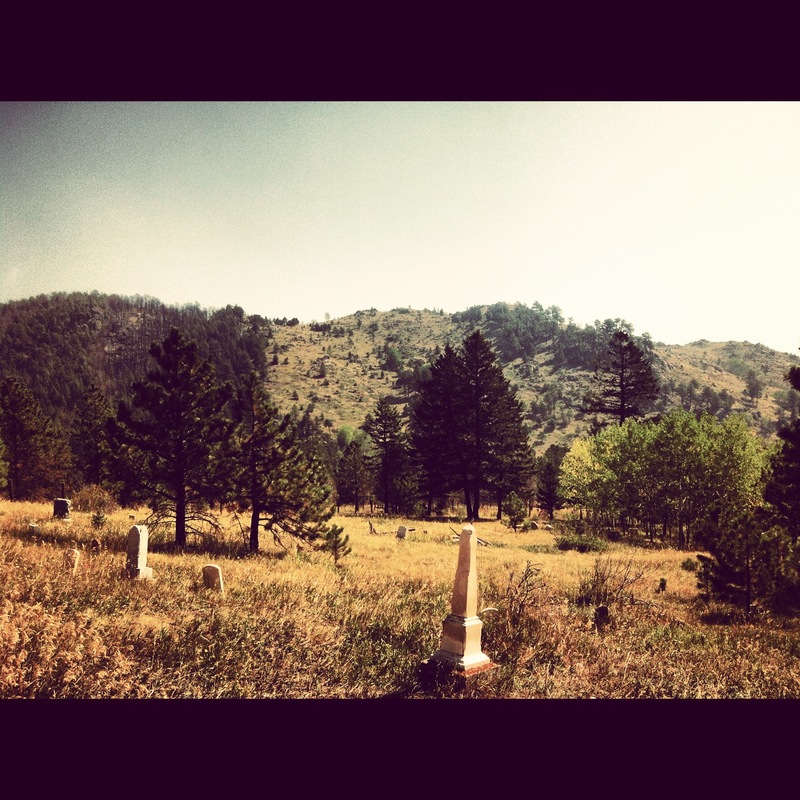 They were split on the property in the late 1700’s. The iron is still in place on many of the posts. 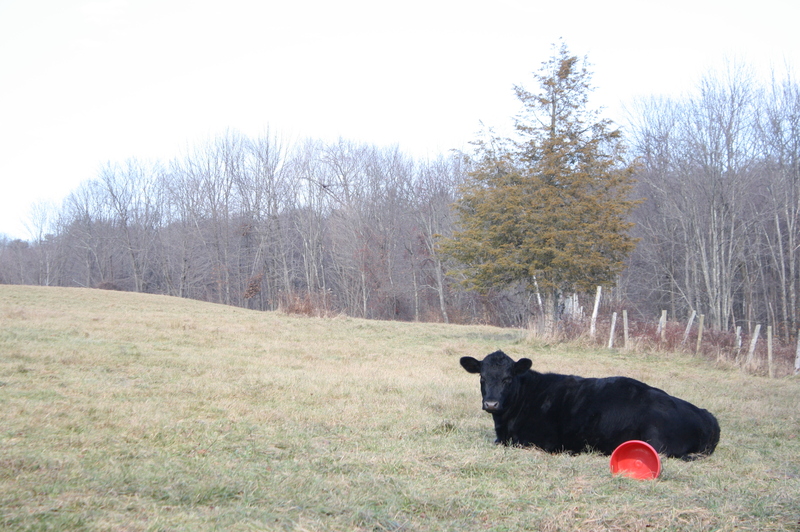 We have a limited inventory of these authentic Farm Posts. Contact us today for any stone post need. This is a great use of reclaimed granite foundation sills. The mason fabricated them into one of a kind pieces. The natural grain of the stone is highlighted. We have granite available in many colors to fit the design and stlye. 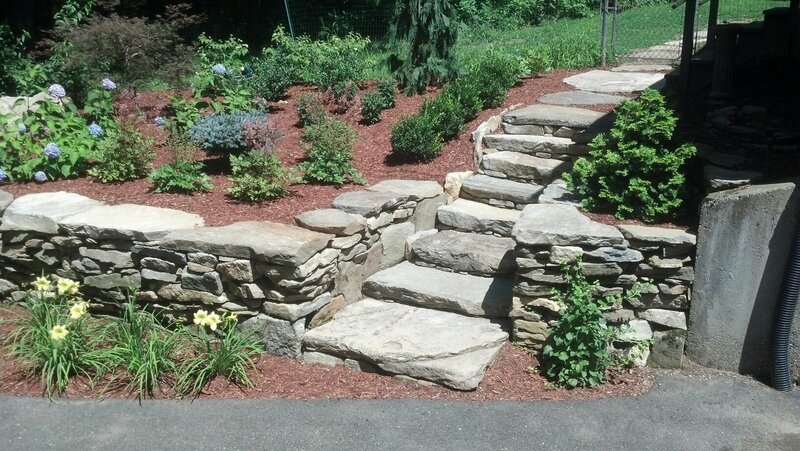 One of of great customers Robert Nixon from Laurel Hill Landscaping purchased these three colonial landings and steps. All three stones were quarried locally from 1805-1875. We were fortunate enough to get in order in Harpswell, Maine. This beautiful coastal Maine town 3 hours north of our Charlton yard. 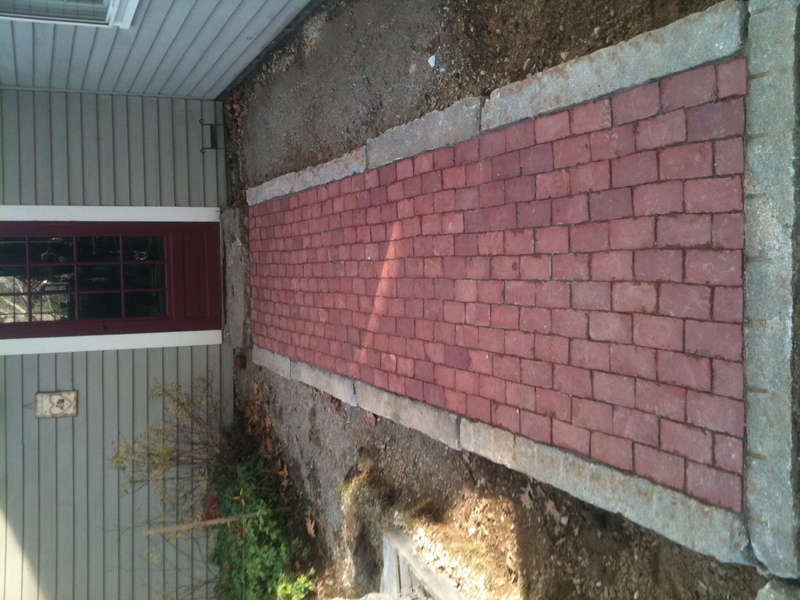 We hand split nearly eighty linear feet of 6″ square edging along with one seven foot long granite mailbox post. We hope to have installed pictures in the future. 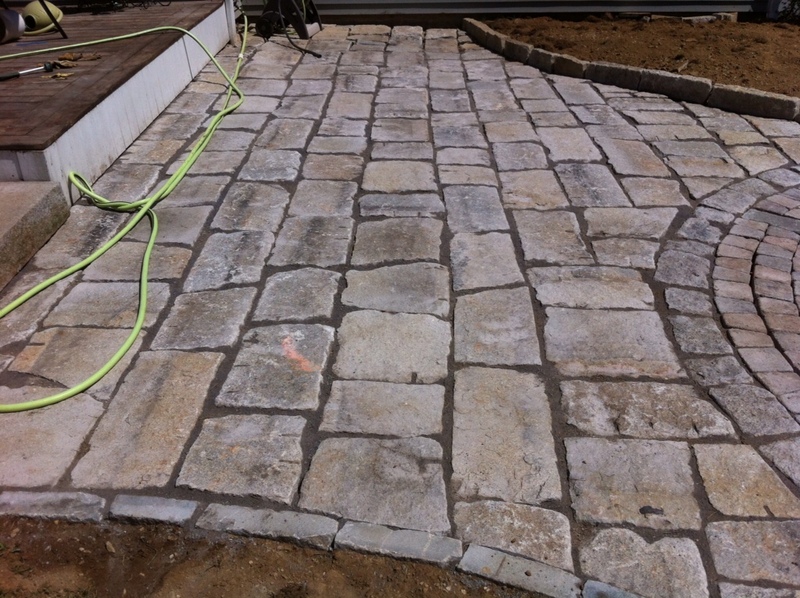 New England Fieldstone is a great material for any landscaping or masonry project. 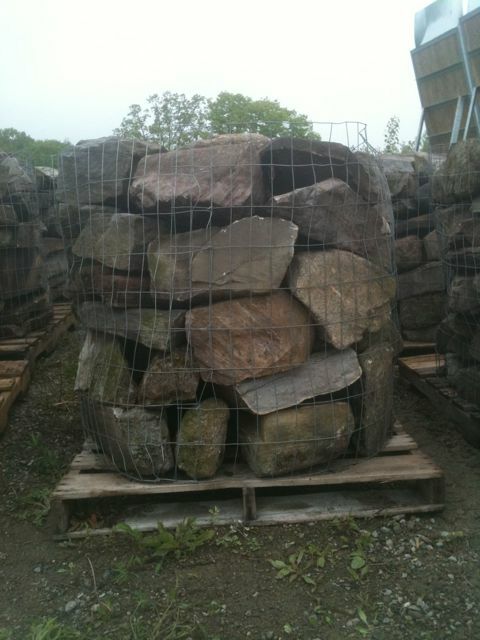 We sell hundreds of tons of fieldstone each year. 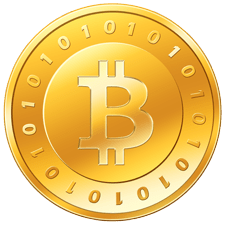 Contact us today for pricing. 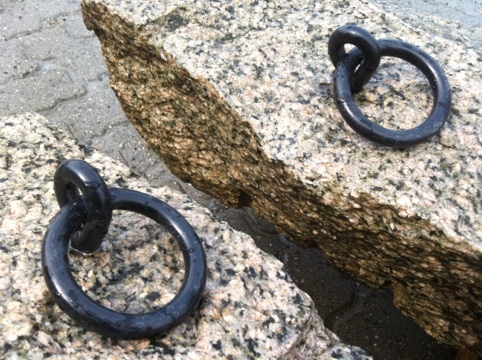 Here are three great examples of reclaimed granite posts with newly installed iron rings. We can install any decorative bracket or hardware you may already have as well. 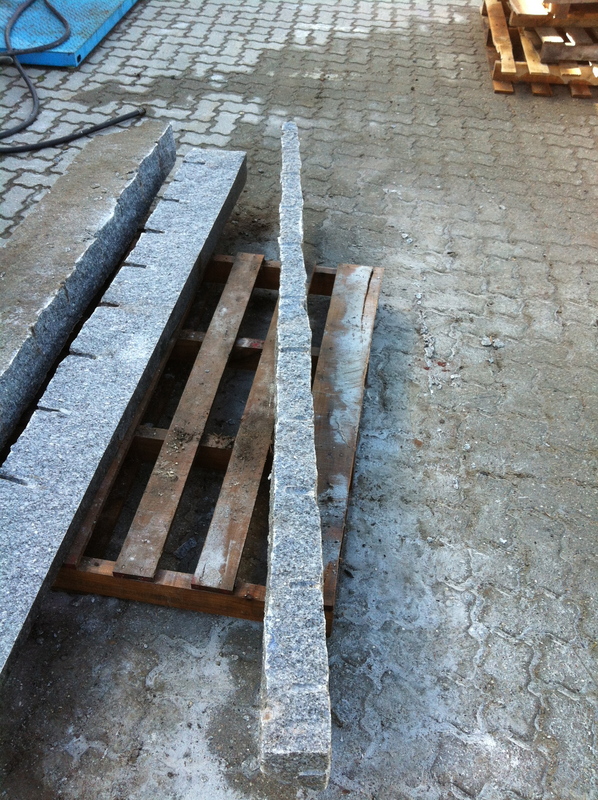 We carefully hand split these granite posts for garden edging. 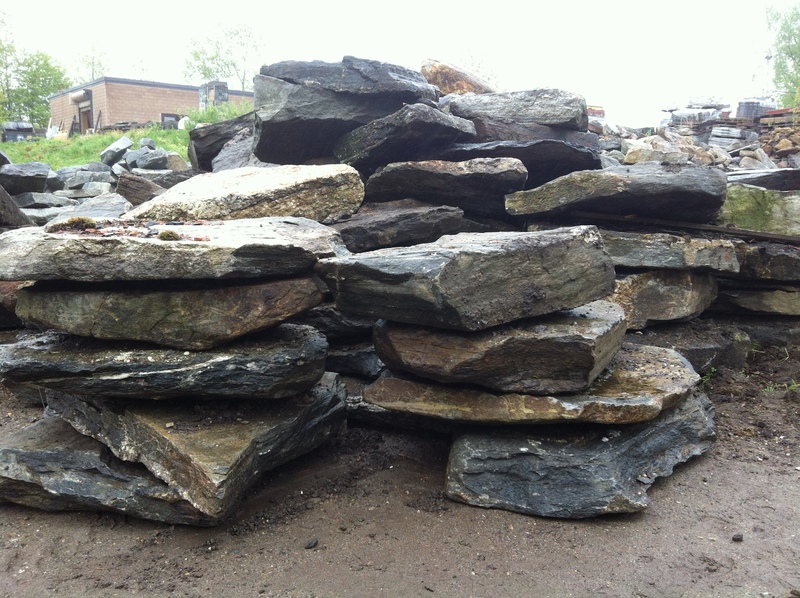 We have hundreds of tons of Reclaimed New England Fieldstone. 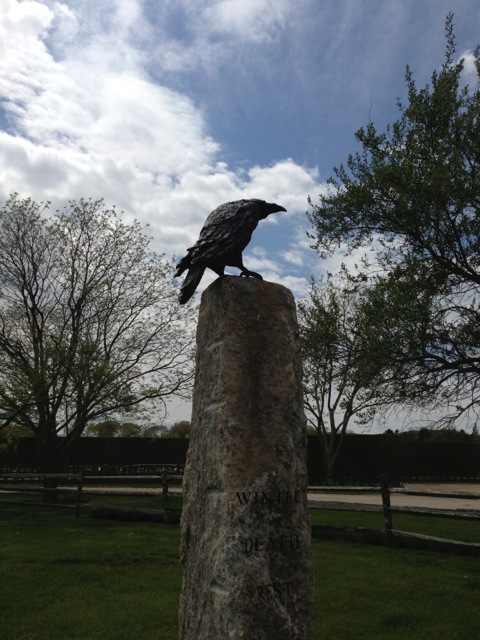 Our inventory was carefully salvaged from a nineteenth century estate in Millbury, Ma. We are currently sorting stones and loading dumpsters, pallets and trucks. 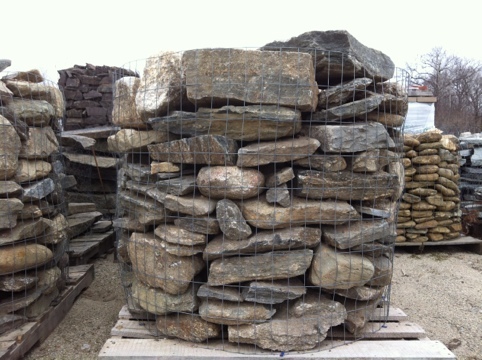 Contact is today if you are interested in any shape or size of New England Fieldstone including boulders, garden path stones, thin wallstone, New England Fieldstone Veneer or any other type of New England Fieldstone products. 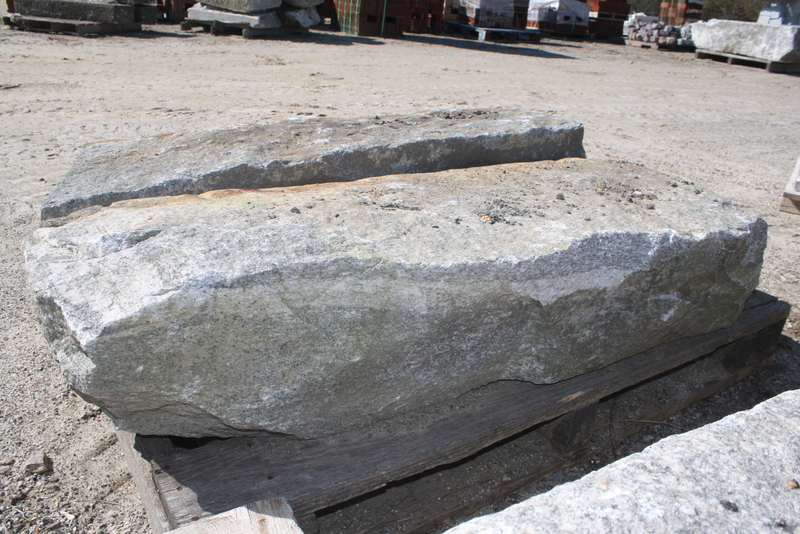 The Millyard Granite Stock was salvaged from South St. in Ware, Ma. We have over one hundred feet of material in our Charlton yard. These stones average twenty-four inches wide and most are eight feet long or greater. These would be ideal for wall coping, posts or oversized steps. 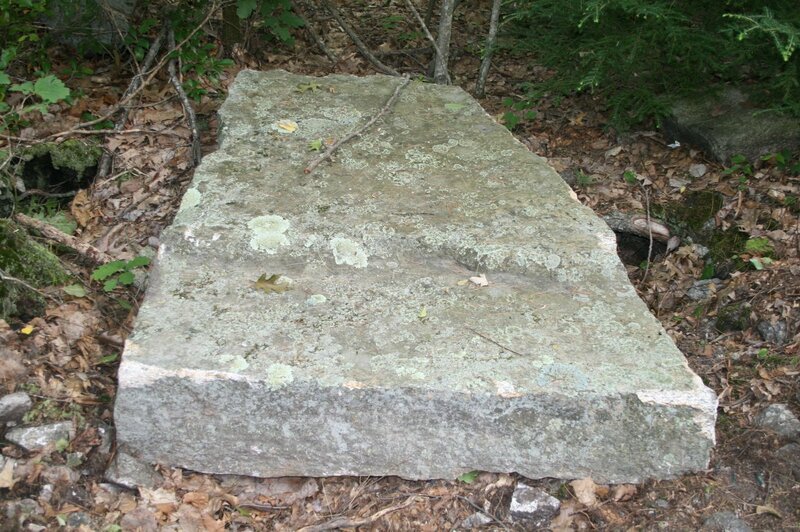 Contact us today if you are looking to incorporate reclaimed granite steps into your landscape. 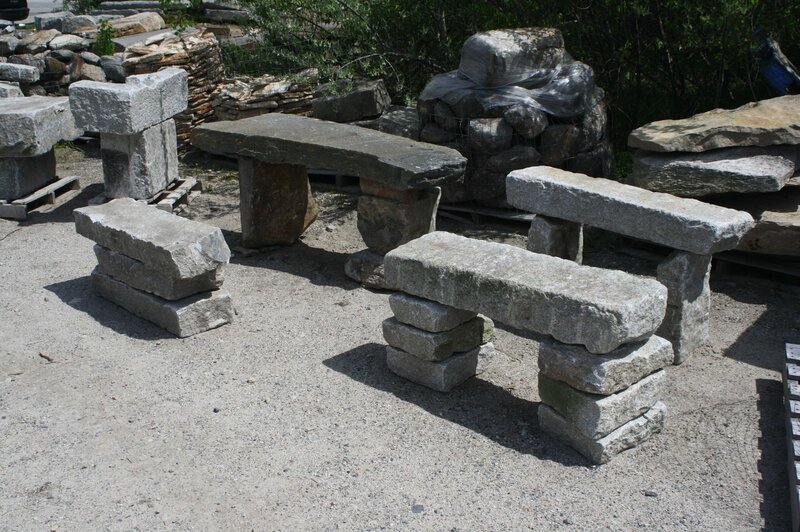 We have an extensive inventory of salvaged stone for any landscape or masonry project. These two stones measure almost ten feet across. They both have unique blue tones. The squarer of the two stones was salvaged from the Millbury Residence. It was a stone used in a roof of a cellar entrance. These are ideal for landings or center pieces for a natural flagging patio. Contact us today if you are interested in any type of natural stone. 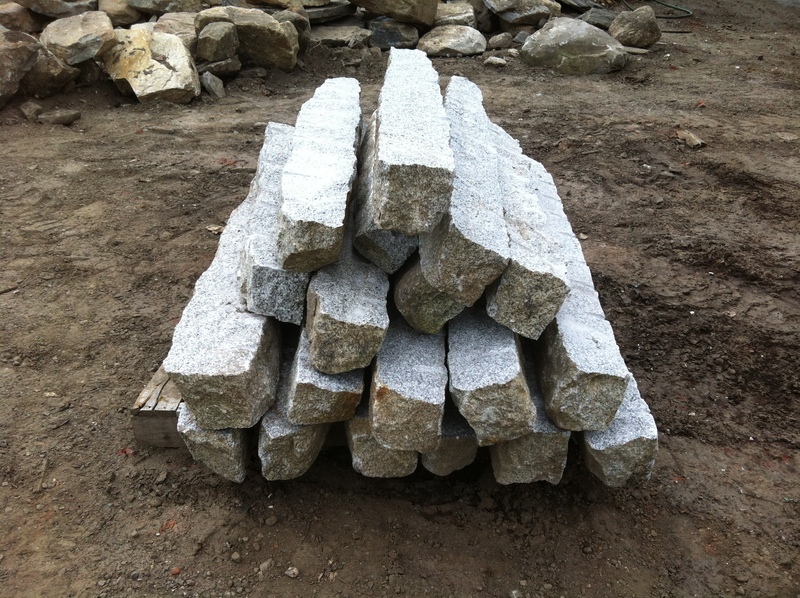 In late November we sold nearly one hundred feet of our prime Granite Foundation Stones . These stones were salvaged from the Millbury, Ma estate. We still have fifty linear feet of material in our yard in Charlton, Ma. Please contact us today if you are interested in a piece of unique local history. Using granite salvaged from New Ipswich, NH we carefully fabricated three pieces for a fireplace surround. We were able to supply all three pieces from one larger foundation stone. No waste! 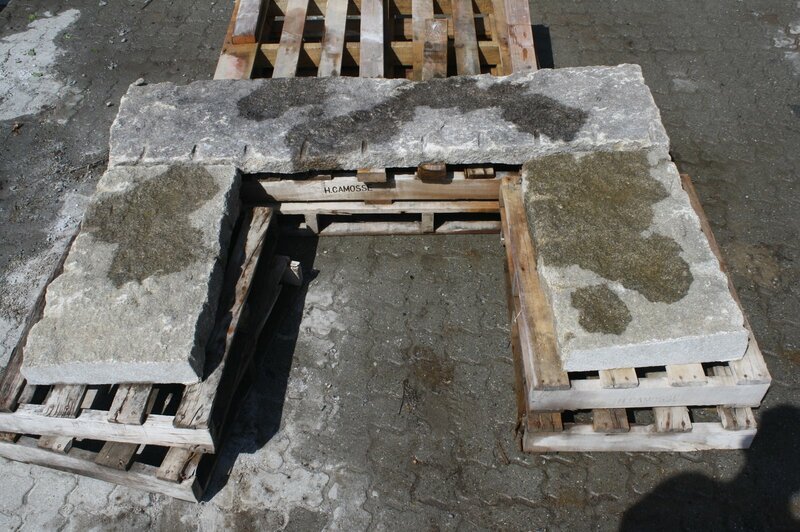 Contact us today if your interested in a one of a kind fireplace surround using reclaimed granite or field stone. This pile was intimidating to say the least. With over three thousand feet of stone in one pile it took nearly three weeks to sort and truck back to our yard. Most of the stones were in excess of seven feet and weighed close to 2000 or more pounds each. We were so fortunate to buy this granite. It was our first salvage attempt with this much material. We still have five hundred feet of the nicer step stock in Charlton, Ma. 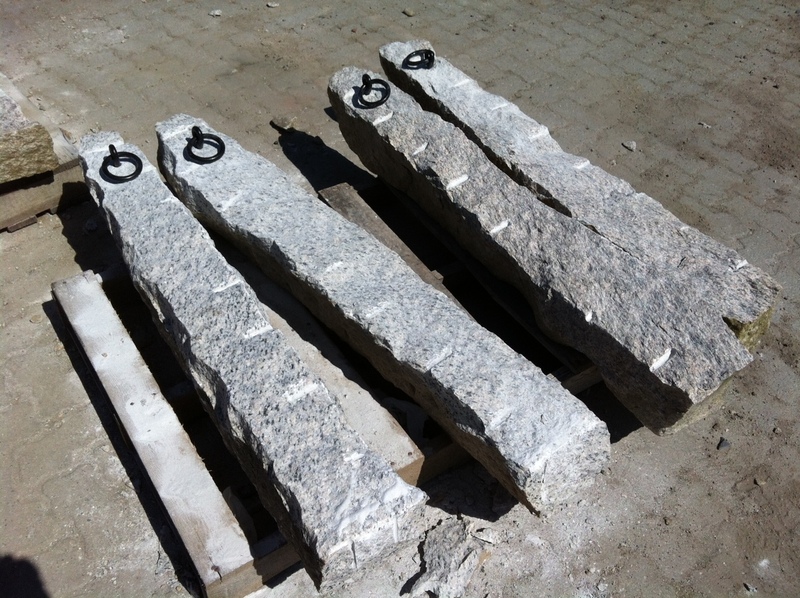 Contact us today @ 508.320.9781 for info on our granite curbing selection. If you have granite we would also love to speak with you. We are always looking to buy old curbing and granite from construction or demolition projects. 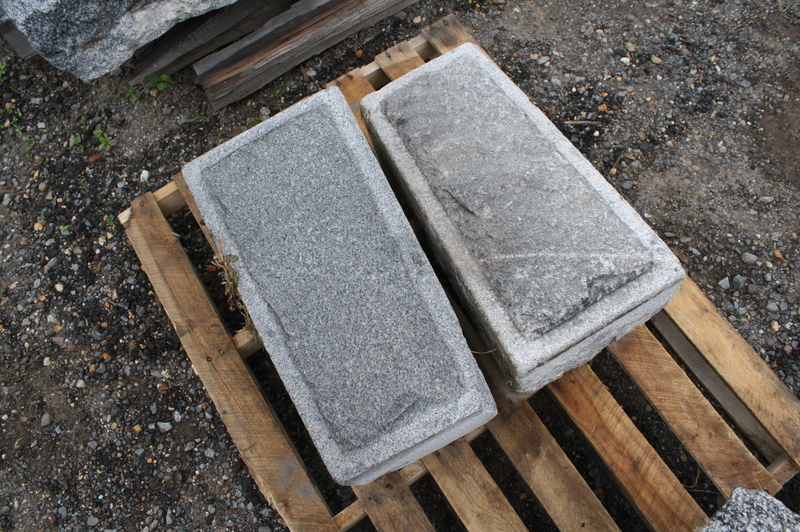 We have a large inventory of reclaimed granite curbing ideal for step applications. Let us help you design a set of steps that’s not only unique but safe and meets all your local building codes! Contact us today at stoneofnewengland@gmail.com for pricing and info. 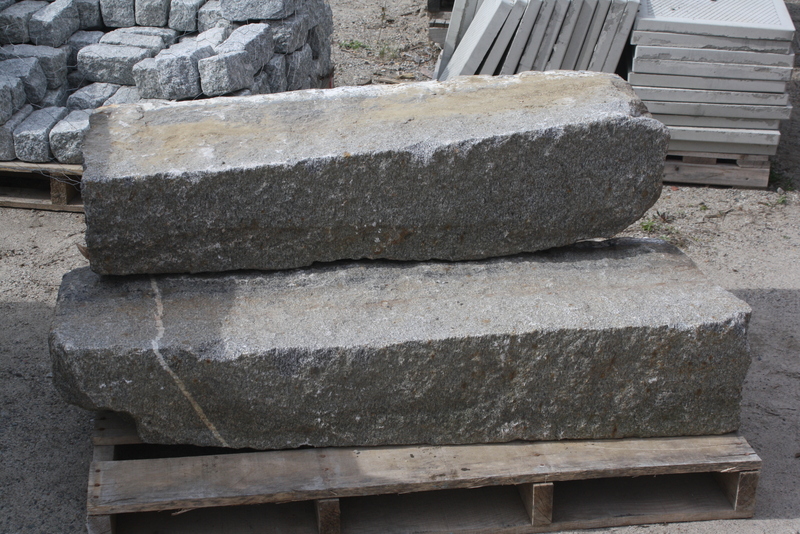 These stones were taken from our Reclaimed New England Granite Curb. The overall lengths were 48″-56″ . 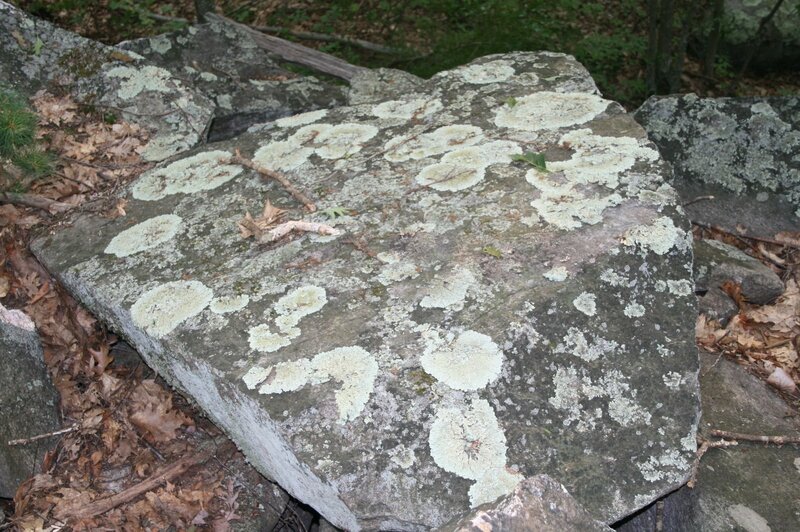 Although many of these stones had natural, rougher edges, the horizontal surfaces were smooth and ideal for stepping. 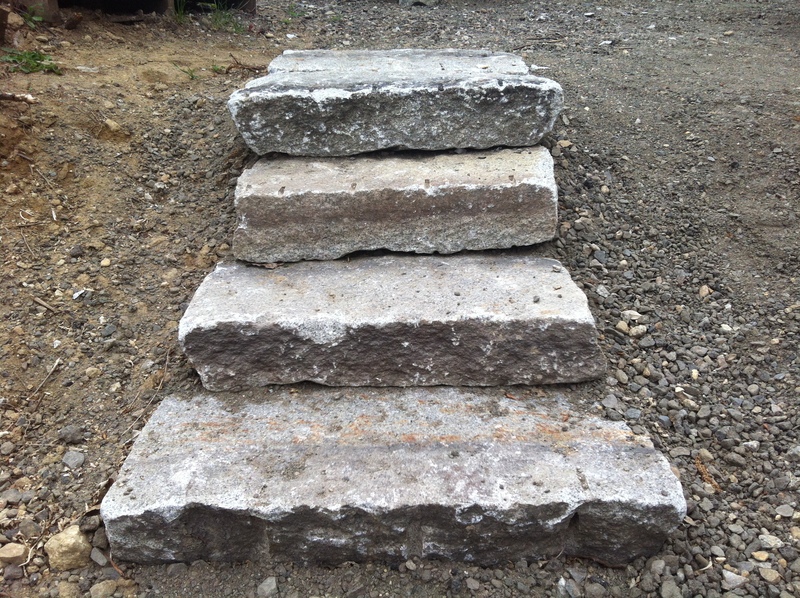 Let us help design your Reclaimed Granite Step Set. Our inventory consists of thousands of pieces of granite , each one unique. Contact me @ ohenryiii@msn.com for pricing. We spend alot of time talking about all the great things we have to sell but is equally important to mention how much we like to buy! Do you have an old building or structure that needs to be salvaged? Are you involved with bridge or road construction? We are currently looking to expand our inventory! Contact us today if you have any of the following items that you would like to have reclaimed. Feel free to send over any pictures and details and we’ll be sure to get back to you with an offer ASAP! Thanks again. We LOVE to BUY Stone!!!! These birdhouses and baths were hand made by Chris Camosse in Charlton, Ma. He uses reclaimed stones to create one of a kind pieces of art. These are all functional and can be built to your specific requests. Please visit http://thestonebirdhouse.com for more information! 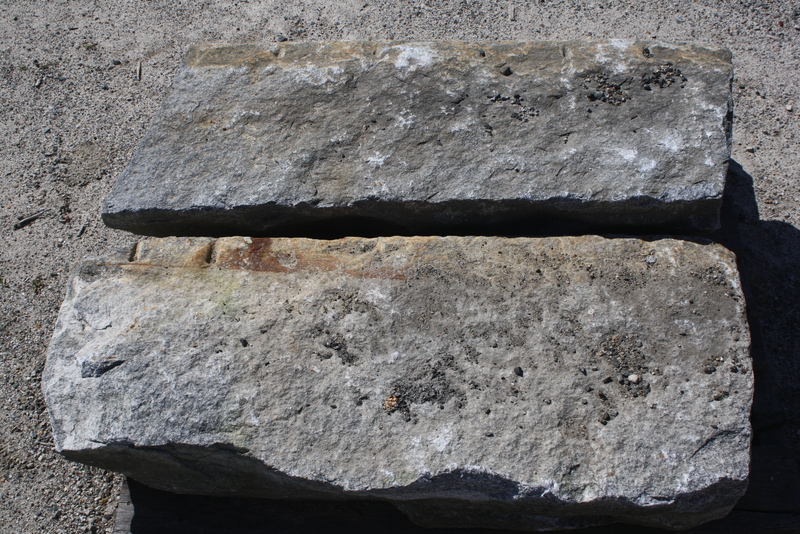 These stones were reclaimed from a mill foundation in Auburn , Ma. 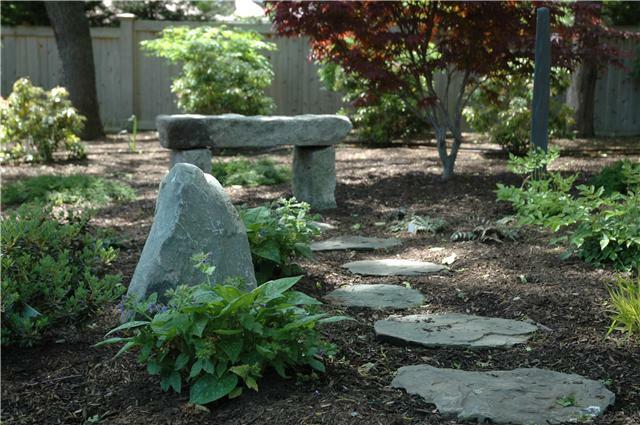 These oversized stones make great benches, diving rocks or garden accents. We have dozens to choose from. 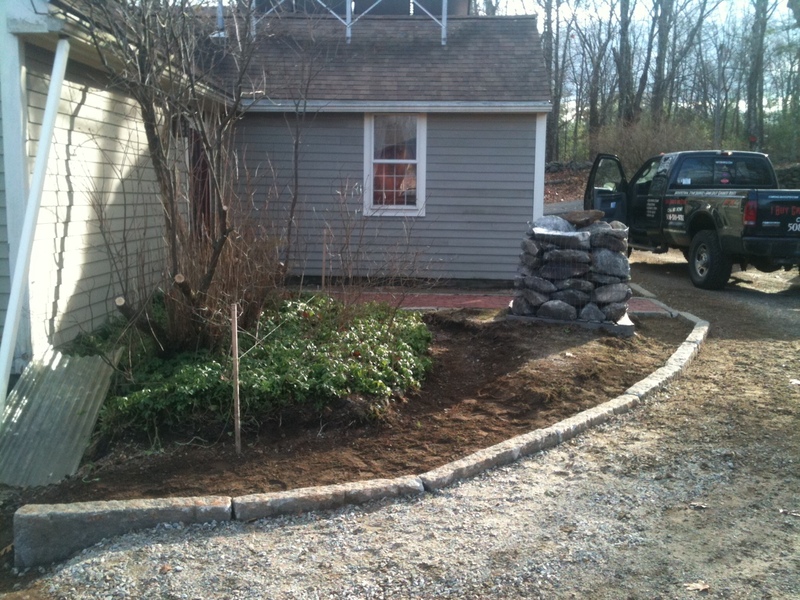 This granite curbing was repurposed as a driveway and walkway edge in West Brookfield, Ma. 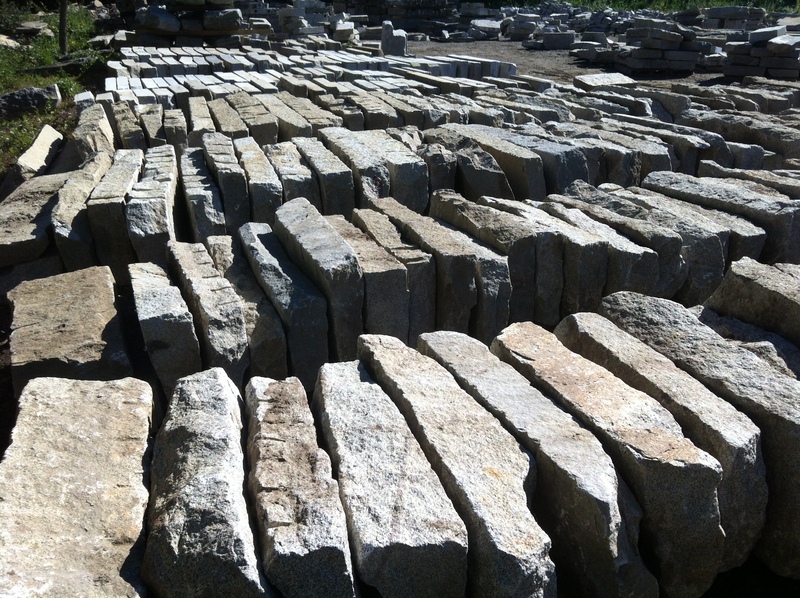 We have thousands of feet of reclaimed granite curbing. We buy and sell granite curbing. 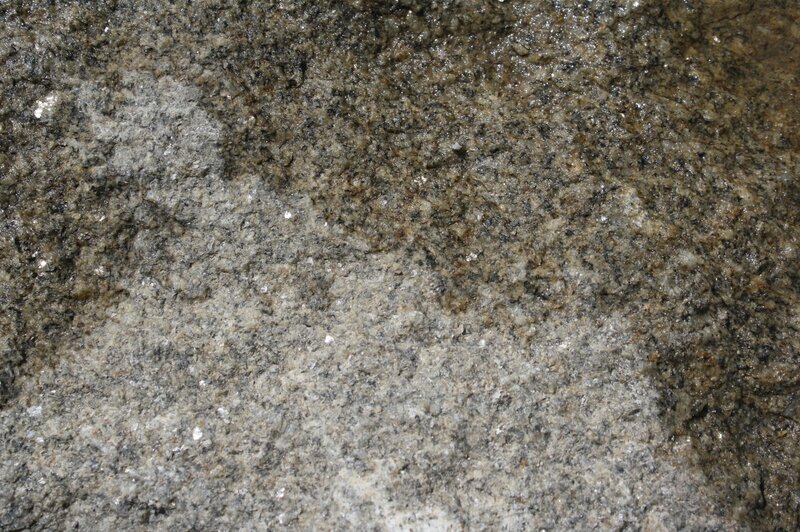 If you or someone you know has granite that they would be interested in selling please contact me ohenryiii@msn.com. This is a project done two years ago and one we are still very proud of. This stone was milled down to the required thickness and all came from one piece of stone. The stock came from a farm in New Ipswich, NH. It had earth brown tones with silver and black flecks lightly throughout the grain. We created these posts for a customer of the past two years. These stones have a wavy black/blue/white grain. This stone is easily workable although the grain is not consistent. We have oversizes inventory of this stock left. 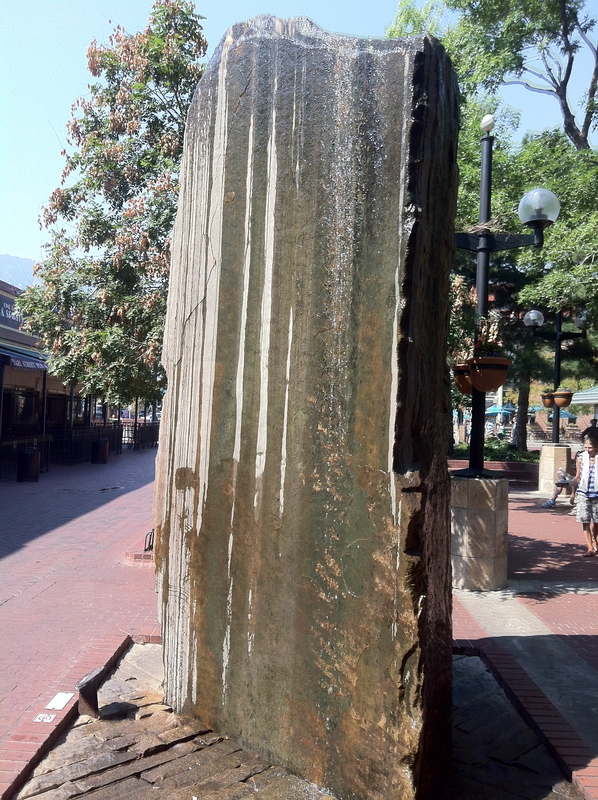 Many of the pieces are over 8′ long and can be worked down to multiple posts. These steps were constructed by the homeowner that bought them. A truly amazing feat. The widest steps are nearly ten feet long. Here are landings sorted. It is important that all the variables be met including 8″ of rise. These stones are 10-12″ thick providing a solid foundation for a life long installation. 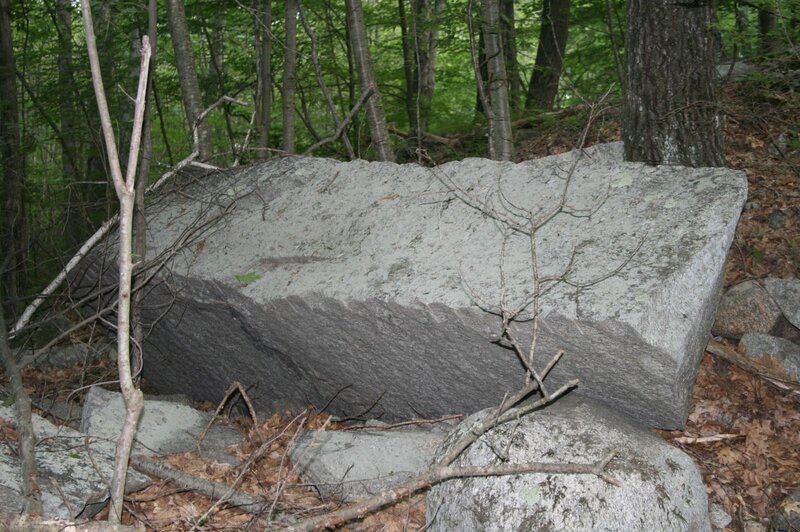 This granite was reclaimed from a Millyard foundation in Worcester. Attention will be on cleaning surfaces of any residual building debris. 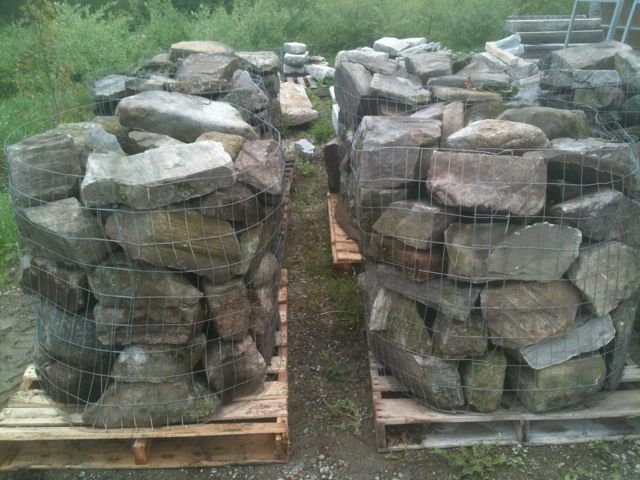 Truckloads of New England Fieldstone have rolled on over the past week. 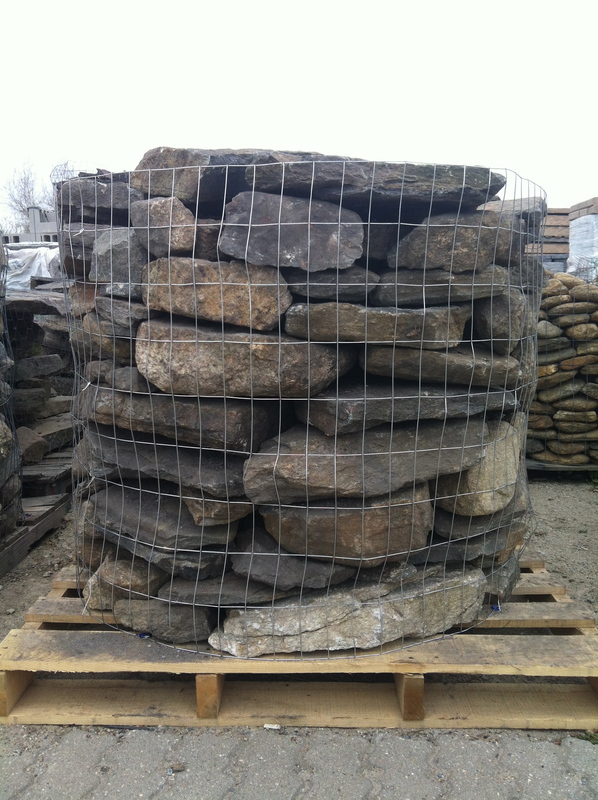 We have great options for traditional stone locally sourced and carefully packaged. 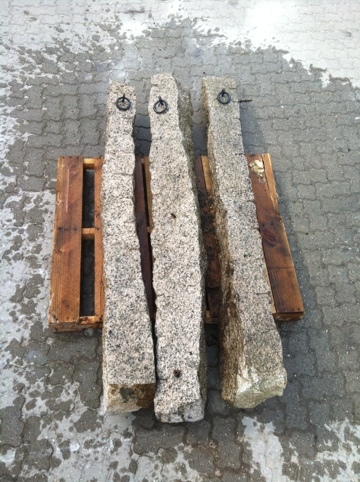 We have recently split dozens of granite fence and mailbox posts. 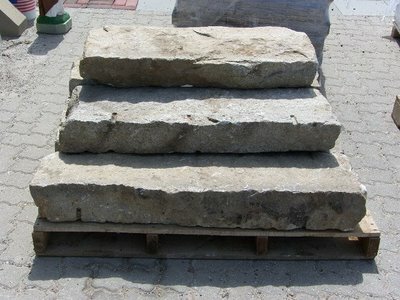 Here is a perfect example of a reclaimed granite step. This is a great example of Green-Stone. 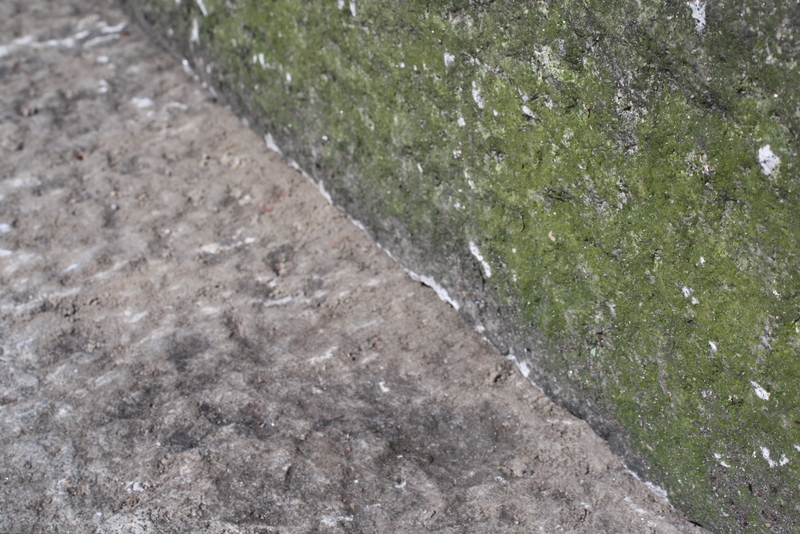 Stay tuned for more info on Green-Stone sold exclusively by Stone of New England. 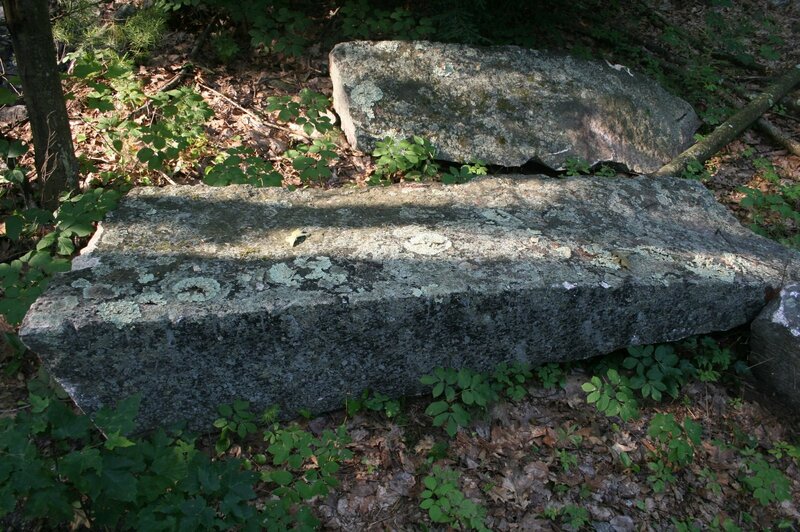 These are two four foot pieces of granite that came from a salvaged railroad bridge. The granite is very flat and has clean corners. The second step would sit behind the first taking full advantage of the 19″ tread. The edges of these stones all for perfect alignment. 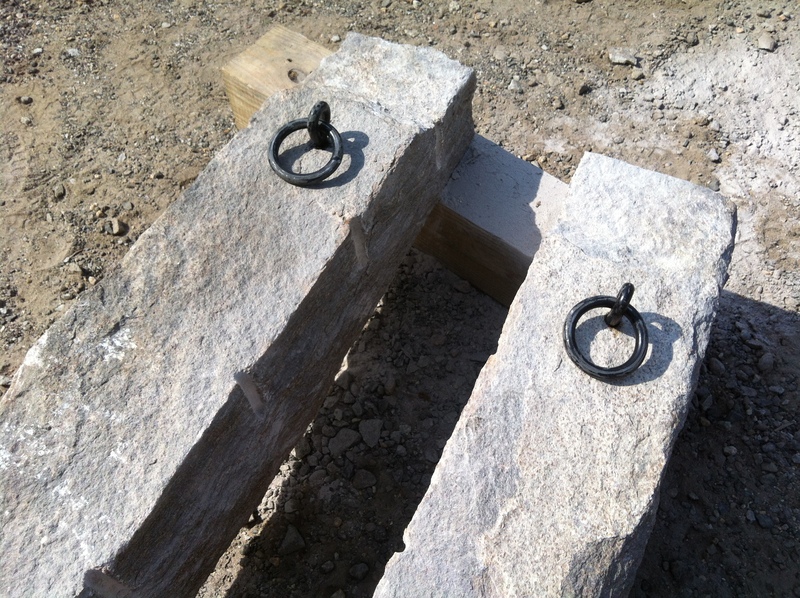 We will be using the same Railyard Granite Stock to split into fillers to support the second step. 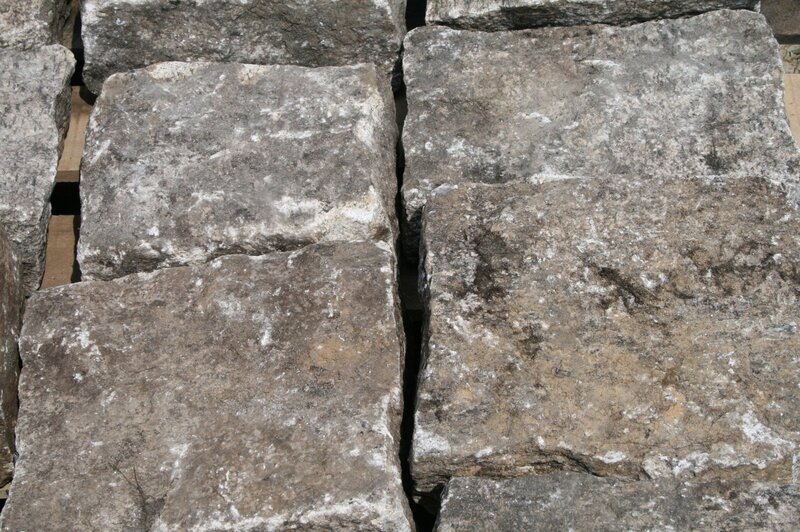 We will use traditional methods of splitting and finishing the stones. We also will be cleaning off any risidual building debris. 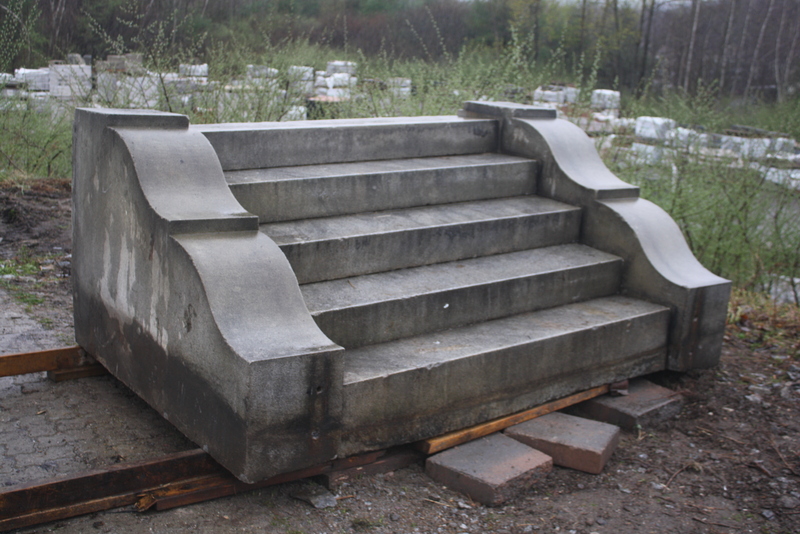 These steps were salvaged from an old bank in Spencer. They measure 108″ long x 16″ wide x 7″ tall. They were hand tooled and split over one hundred years ago. The faces of these two steps measure 8.5″ and 10″. The thicker of the two would be used for the base step while the second step would stack on top. 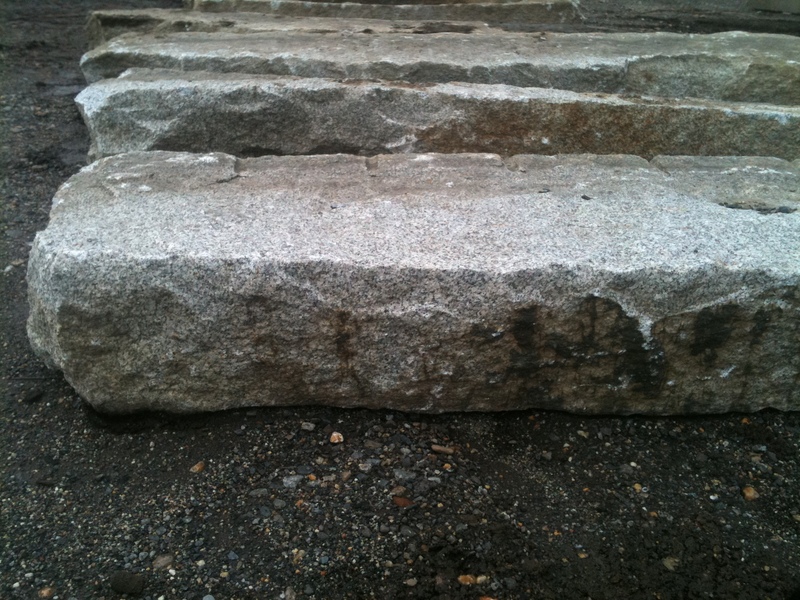 This set of granite steps was reclaimed and salvaged from a mill in Worcester,Ma. These steps measure 6′ wide. This is truely a rare find.